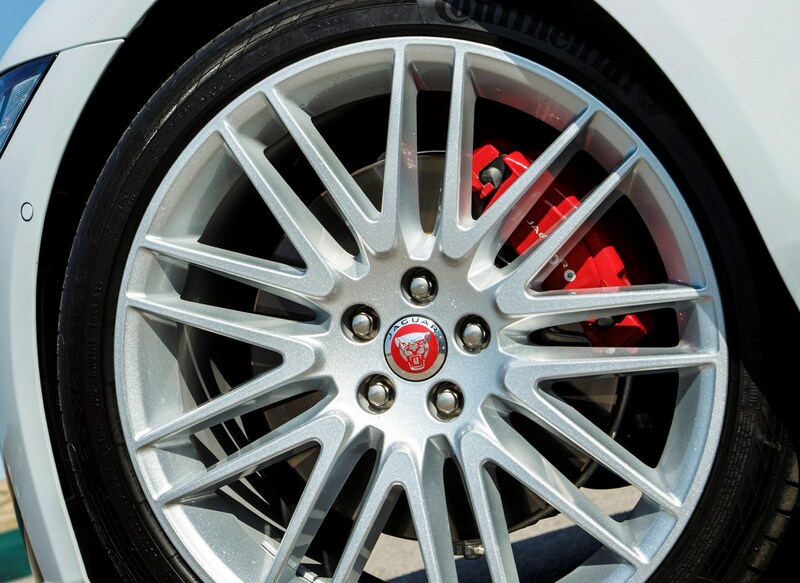 Insurance group: 25 - 42 How much is it to insure? 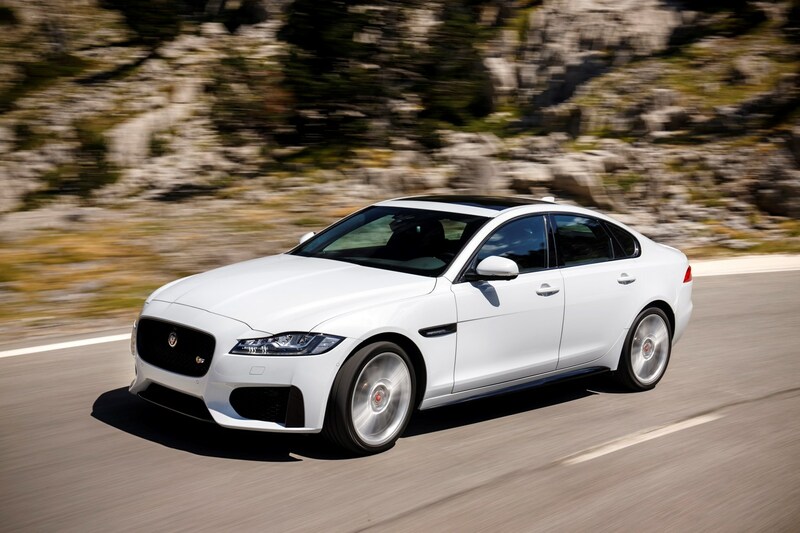 Replacing a car that heralded a fresh, new start for a brand is quite an ominous task but this second-generation Jaguar XF saloon has proved more than up to the job. 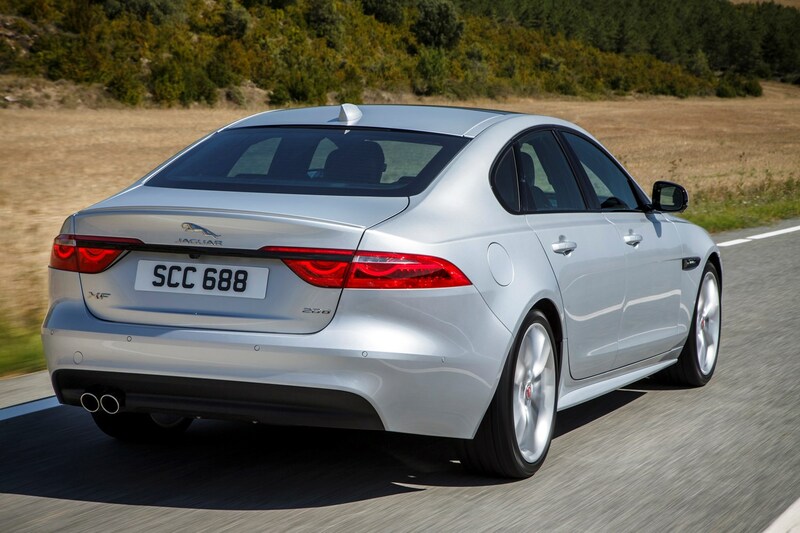 It is a more careful evolution of the four-door coupe shape, but it’s one that's dramatic and bristling with subtle detailing. 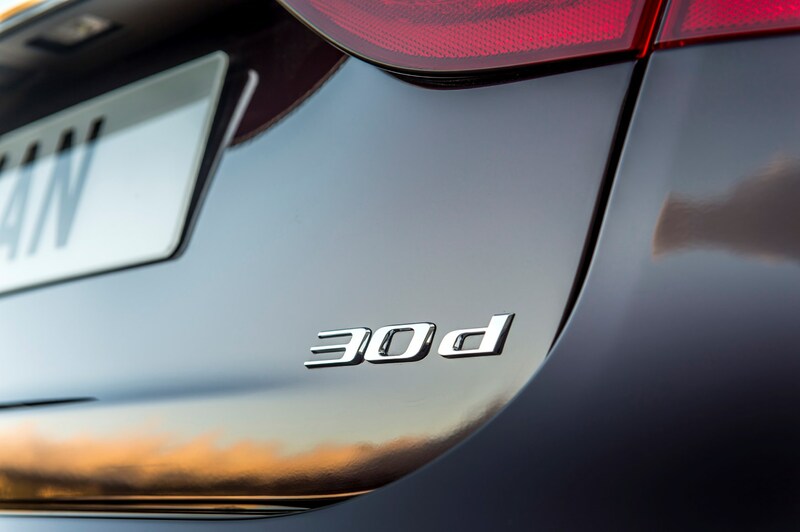 It remains more athletic than its key rivals too, such as the Audi A6, BMW 5 Series and Mercedes-Benz E-Class, let alone a more leftfield choice like the Lexus GS. 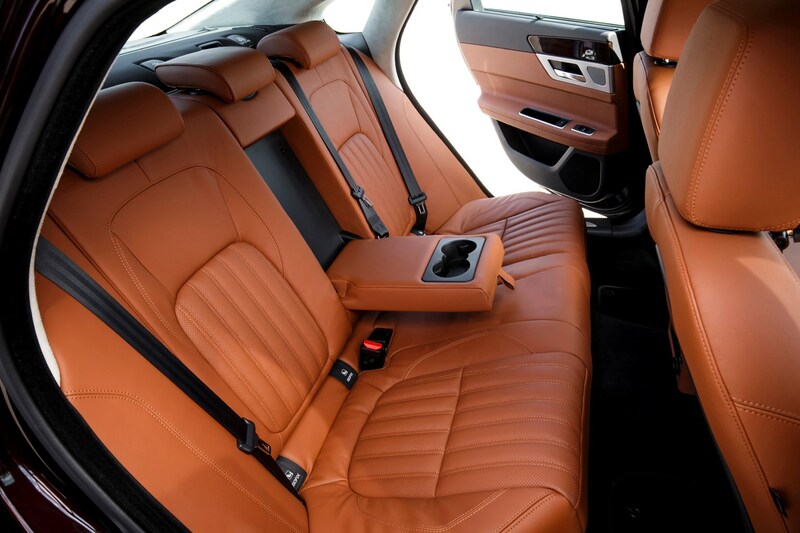 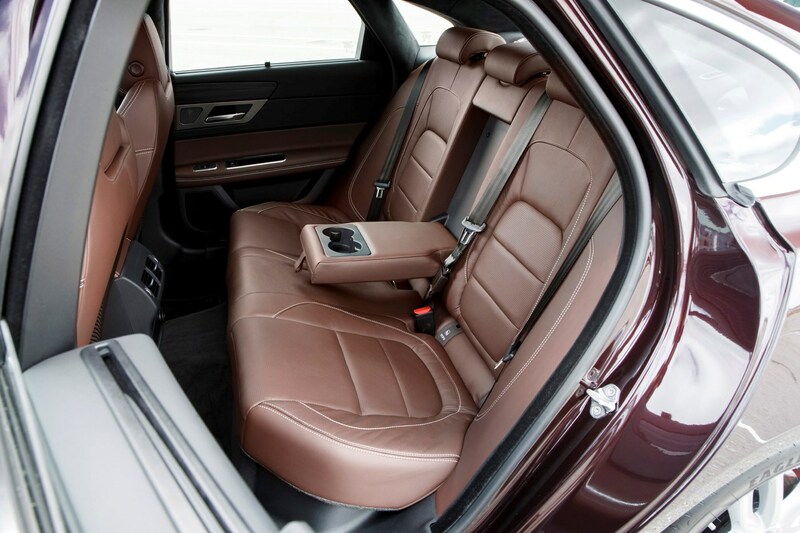 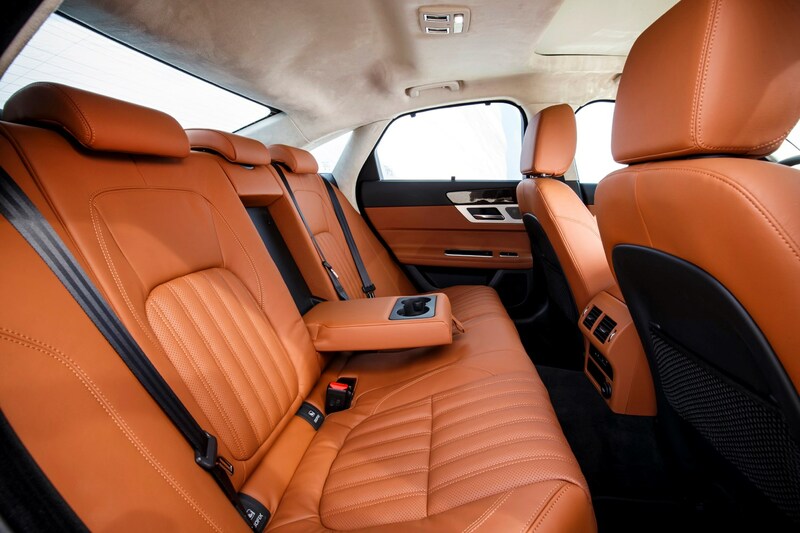 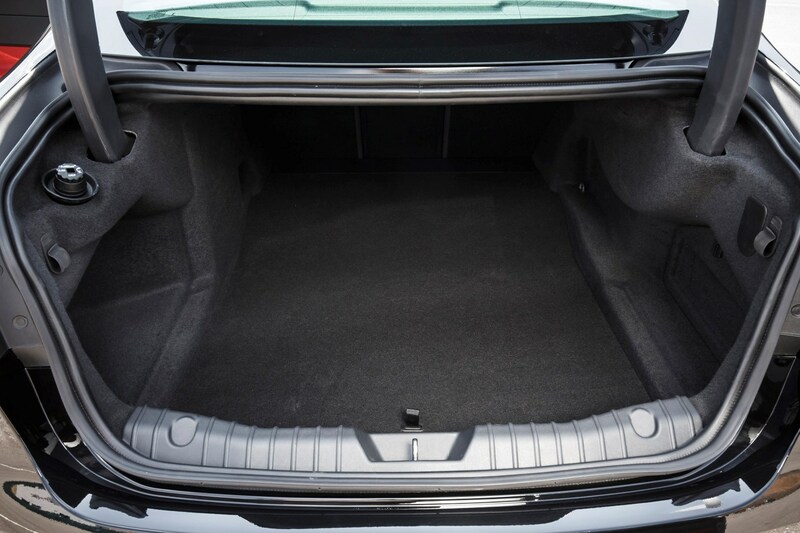 Despite being fractionally shorter and lower than the previous model, the Jaguar XF is significantly more spacious, thanks in a large part to a 51mm longer wheelbase, liberating more space for rear seat passengers. 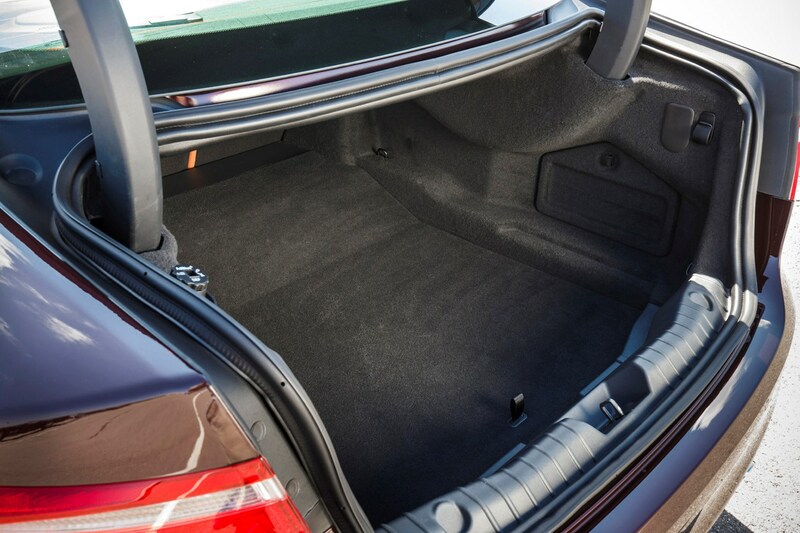 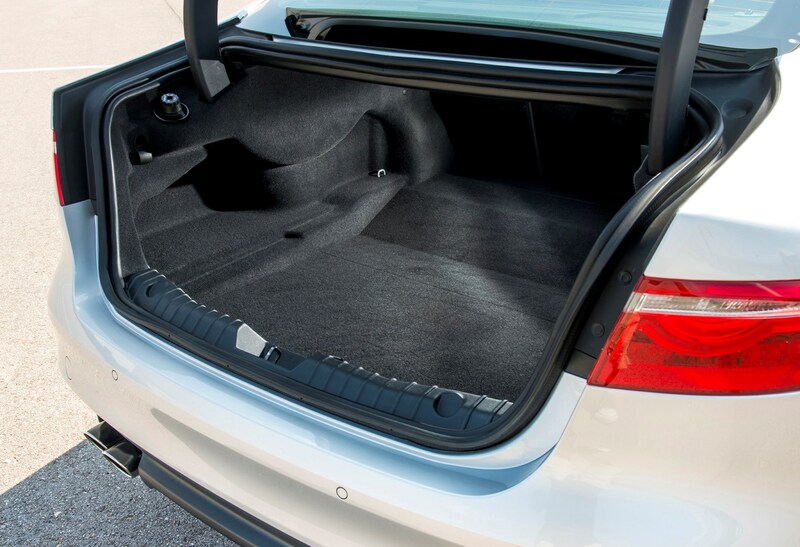 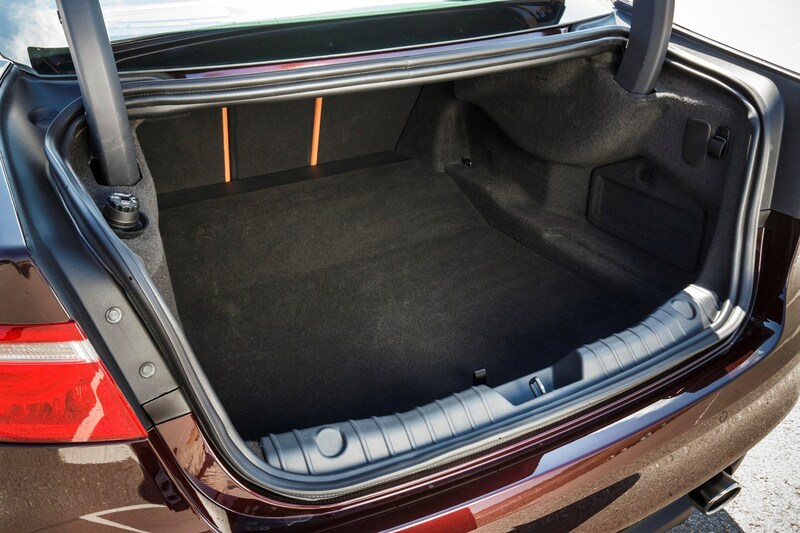 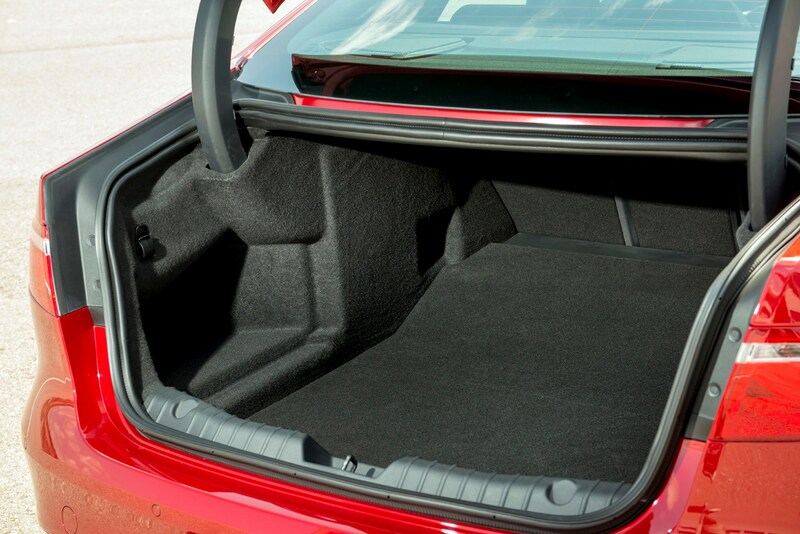 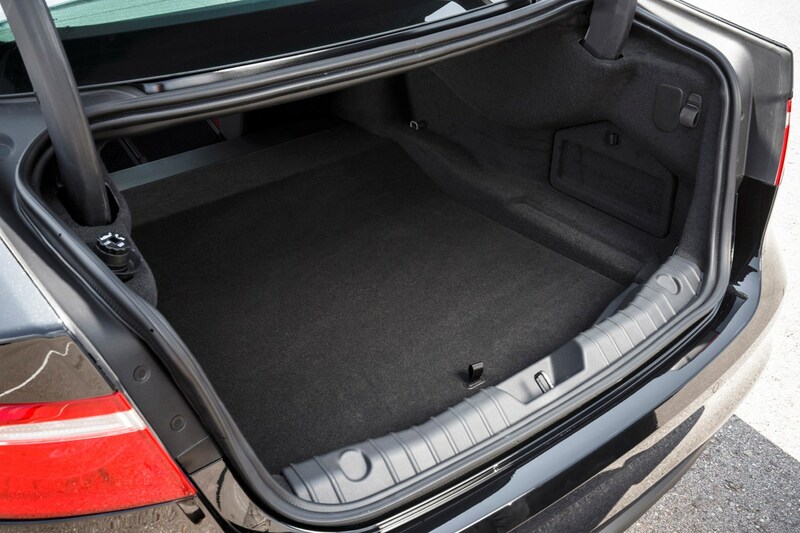 A 540-litre boot is also a welcome benefit. 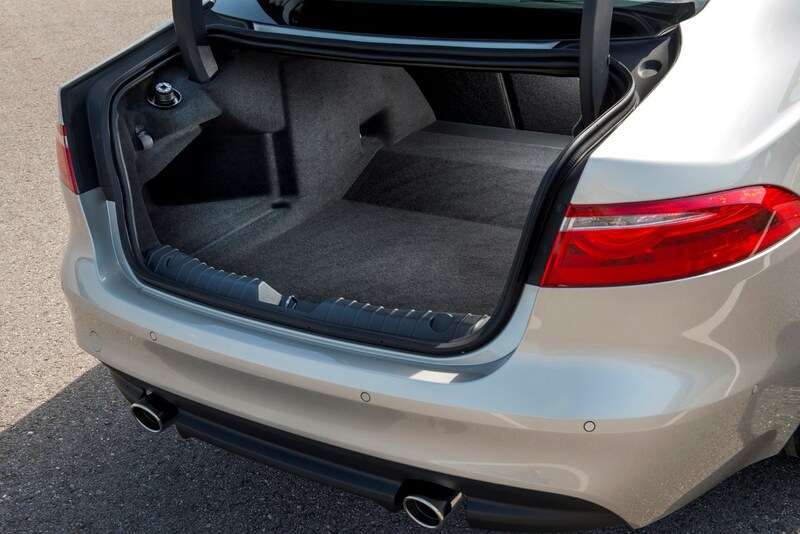 It doesn’t set class benchmarks for cabin roominess, but it’s capable of carrying two six-foot-tall adults in the back without them feeling cramped. 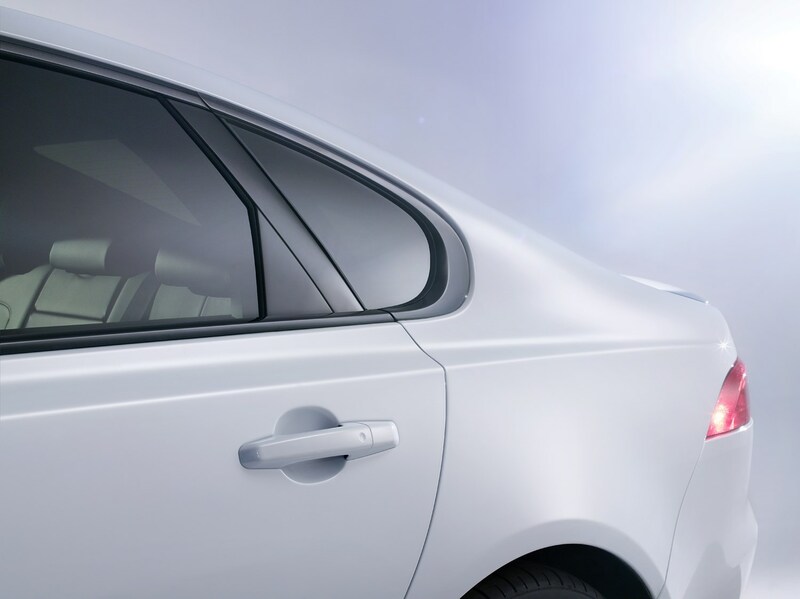 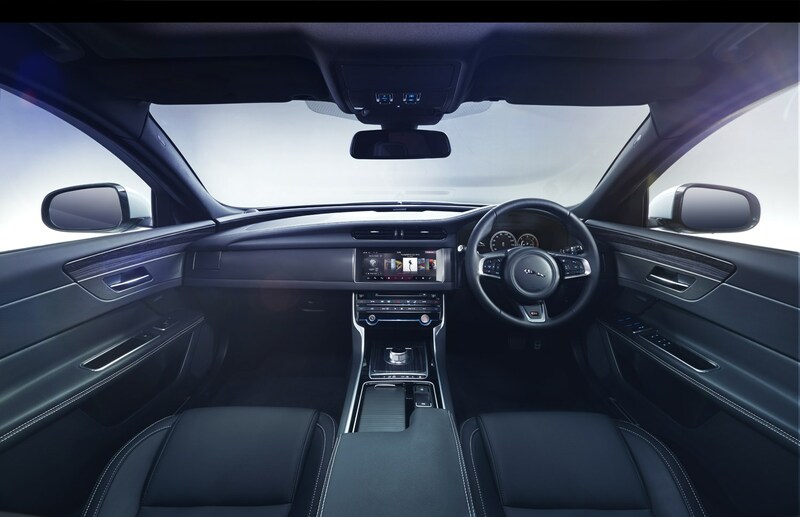 Not only is the cabin more spacious, it’s made to feel airier too, thanks to a greater glass area, which includes a third side window just behind the rear doors; this effectively reduces the feeling of claustrophobia often felt by back-seat passengers. 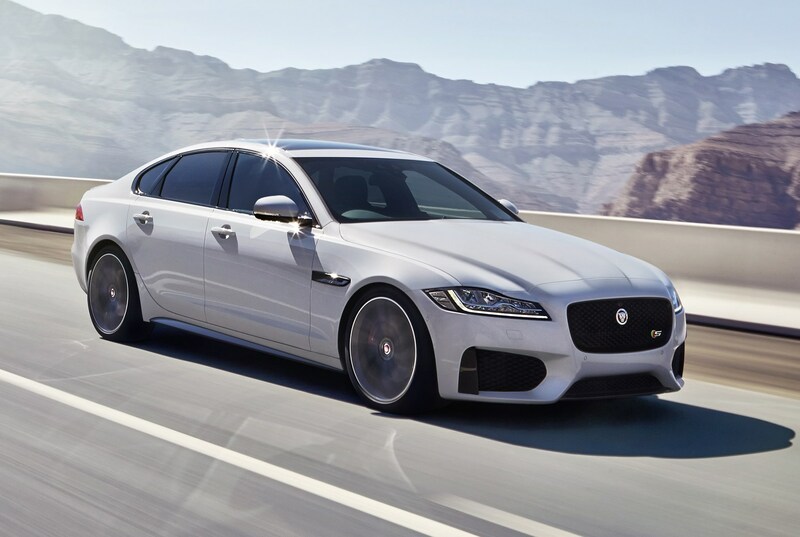 This generation of Jaguar XF is 190kg lighter than the previous model and the entry-level diesel model weighs 80kg less than its nearest competitor. 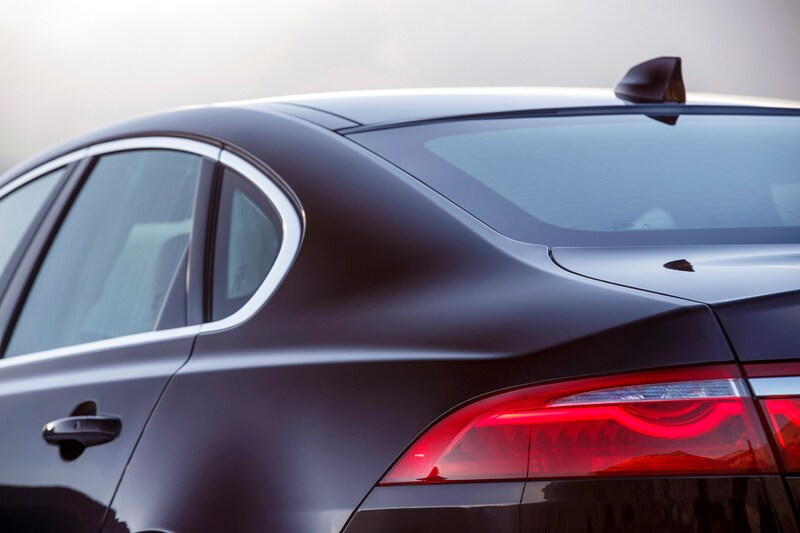 It’s also more aerodynamic (drag coefficient of 0.26), which, combined with the weight reduction, lowers fuel consumption. 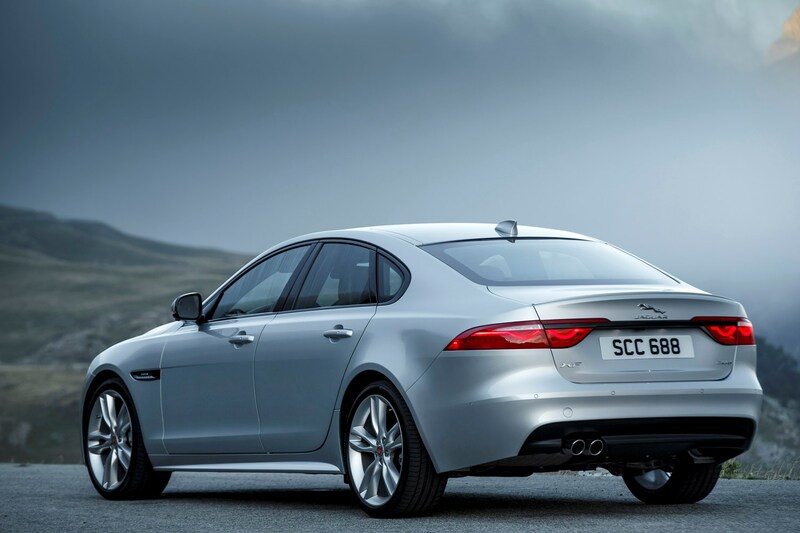 There are eight engine options, four of which are diesels and these account for the bulk of XF sales. 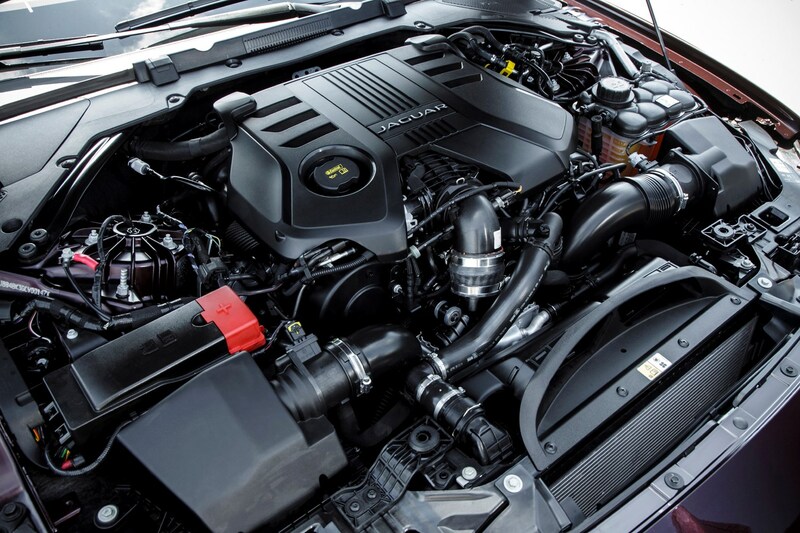 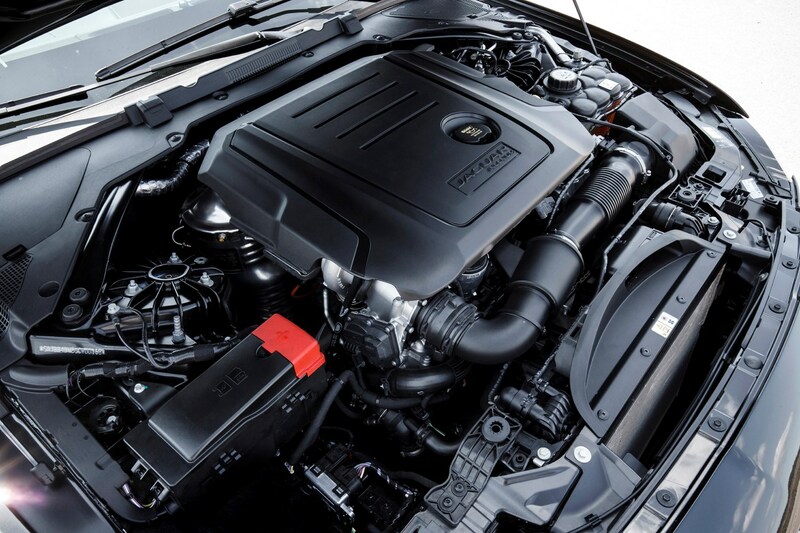 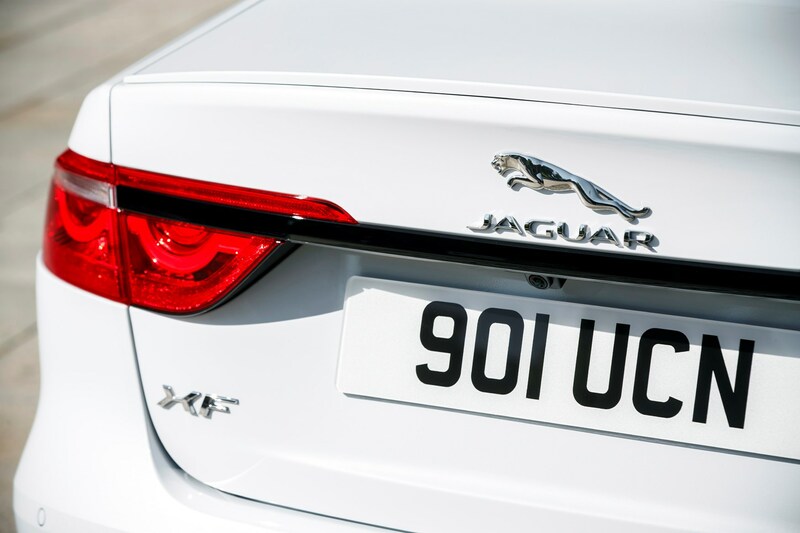 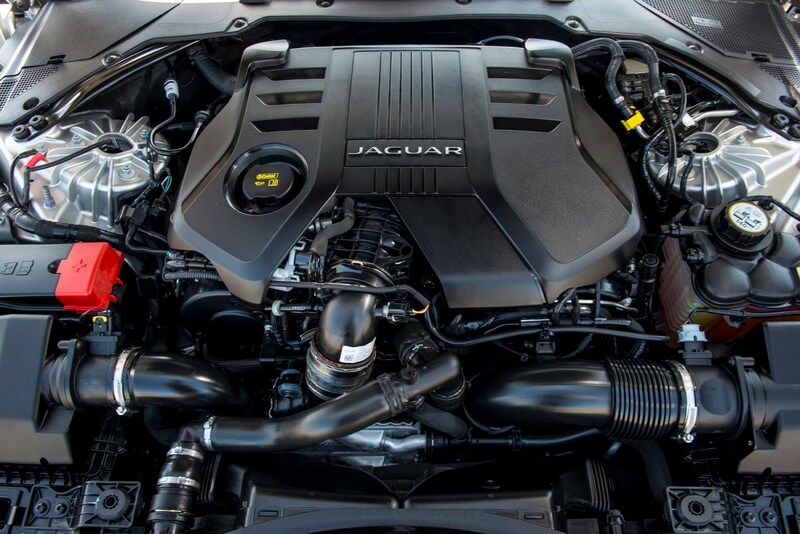 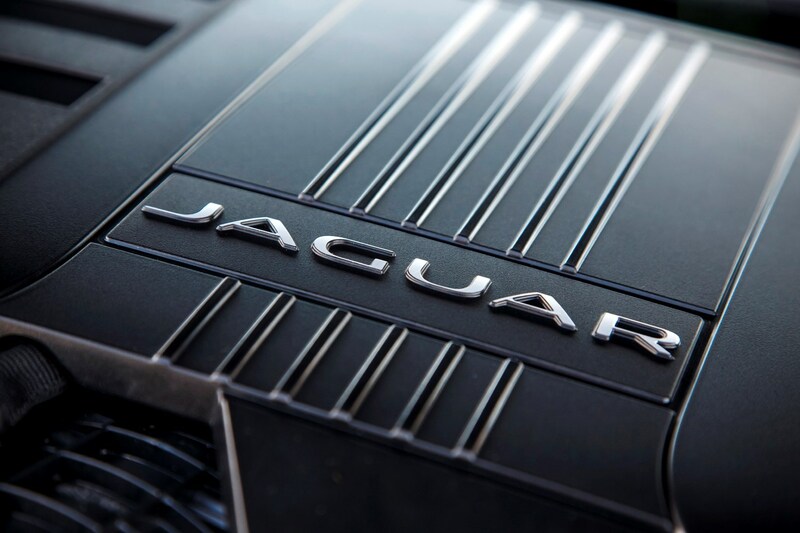 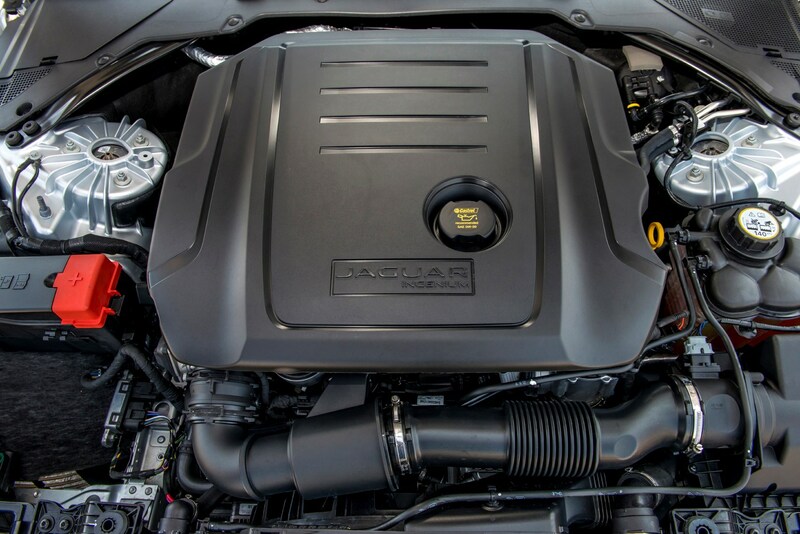 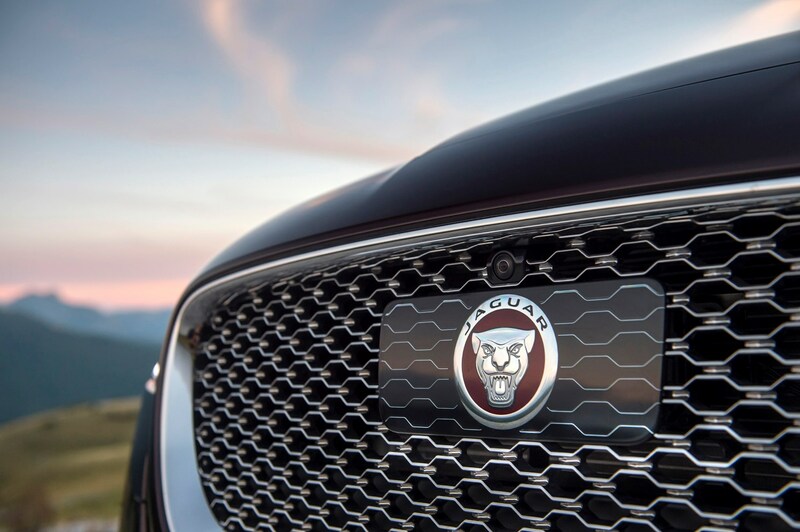 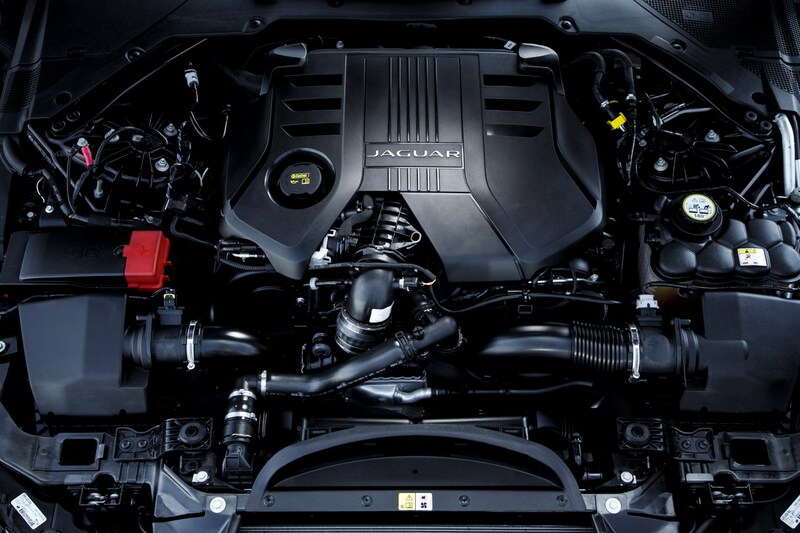 Available in three power outputs – 163hp, 180hp and, with twin-turbos, 240hp – the 2.0-litre diesel motors deliver performance that’s commensurate with the Jaguar name. 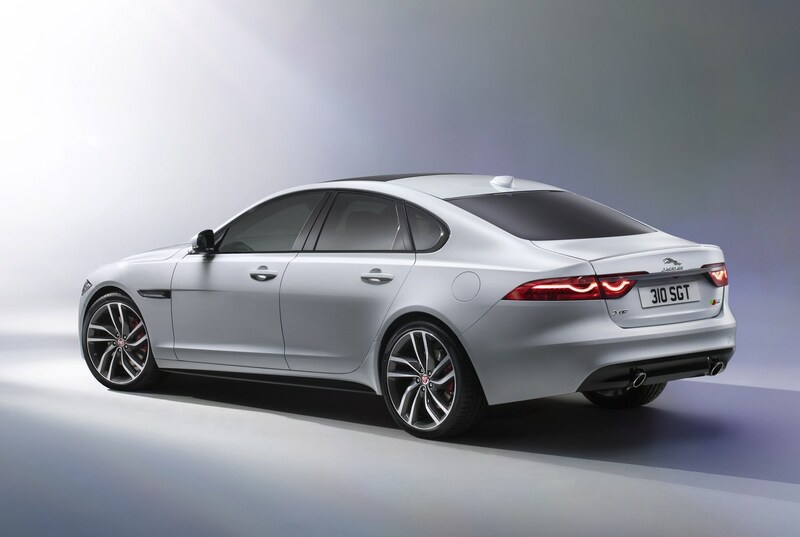 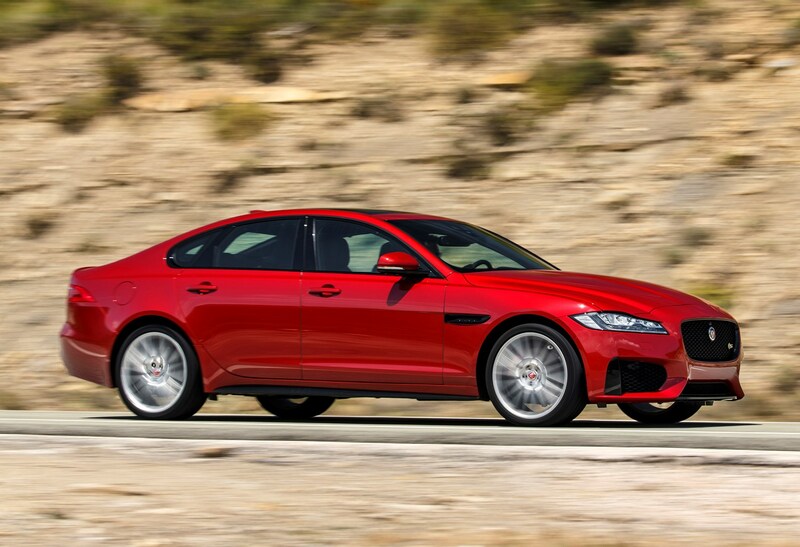 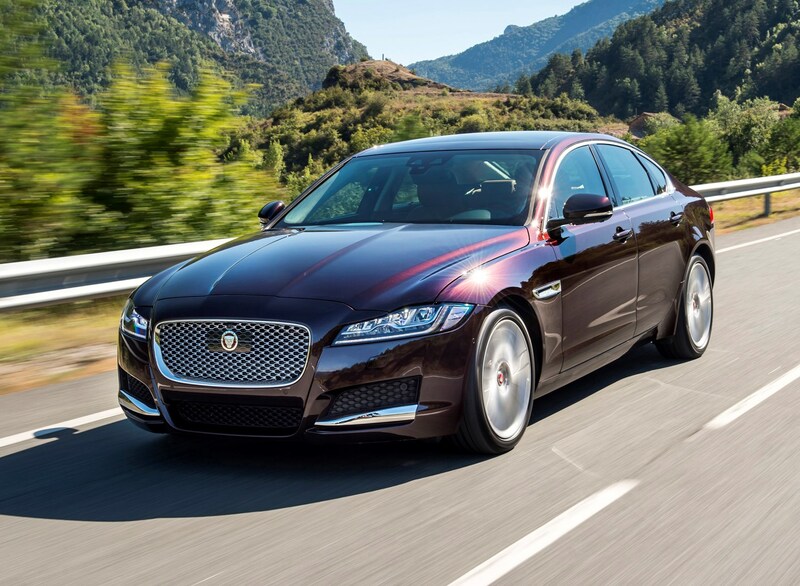 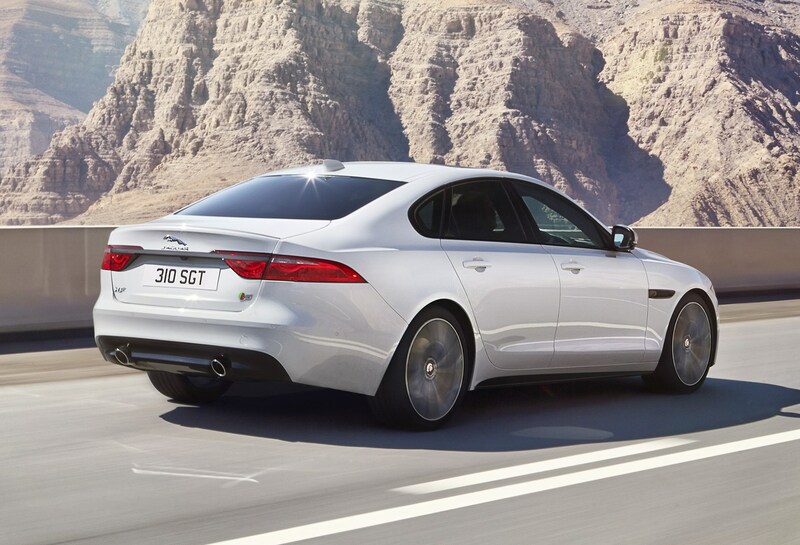 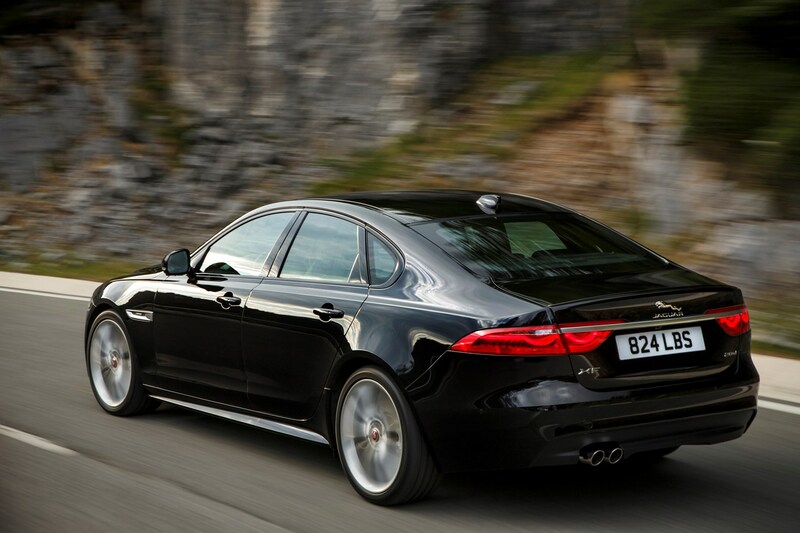 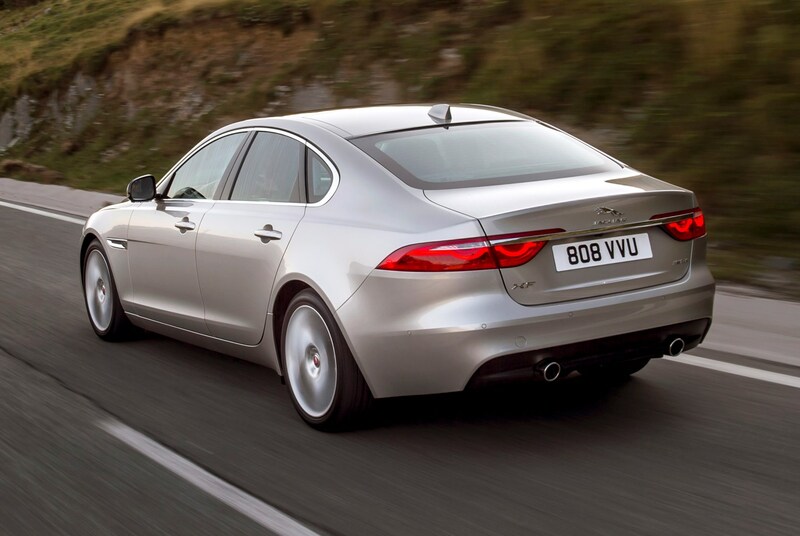 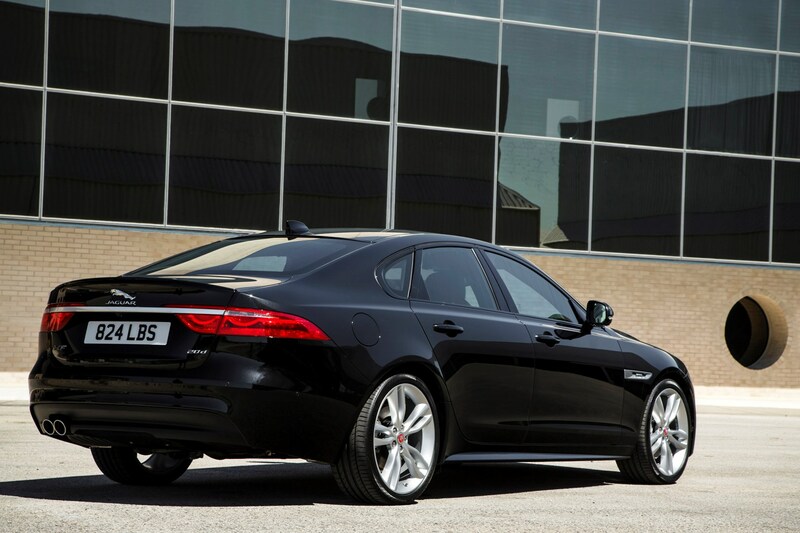 Captivating performance isn’t what the diesel XFs are all about though. 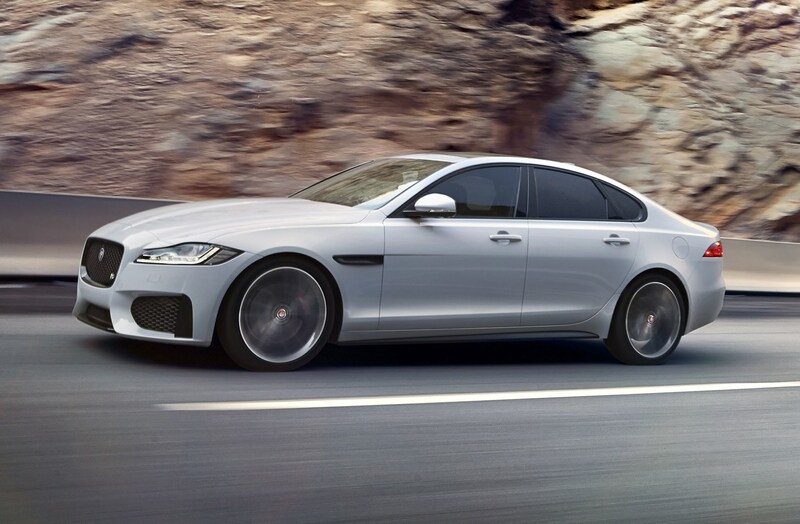 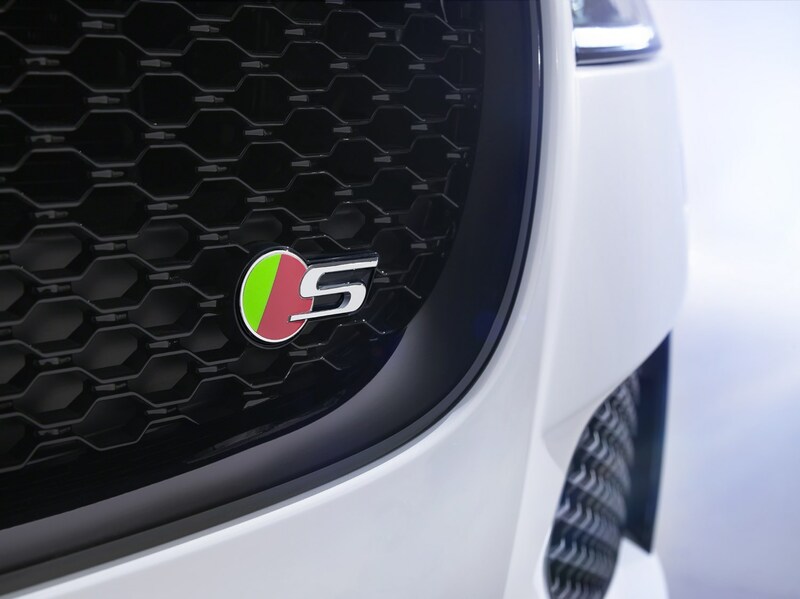 Low running costs are the focus: choose the 163hp diesel with the standard six-speed manual gearbox and rear-wheel drive, and Jaguar claims an average of 70.6mpg and CO2 emissions of 104g/km – one of the lowest in this segment for a non-hybrid powertrain. 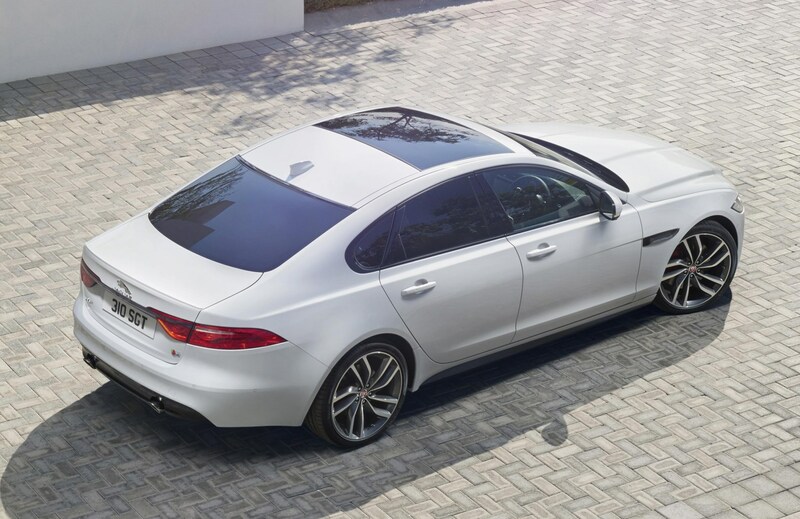 If you prefer petrol, four-cylinder 2.0-litre turbo petrol engines are available with outputs of 200hp, 250hp and 300hp, the most powerful XF with all-wheel drive. 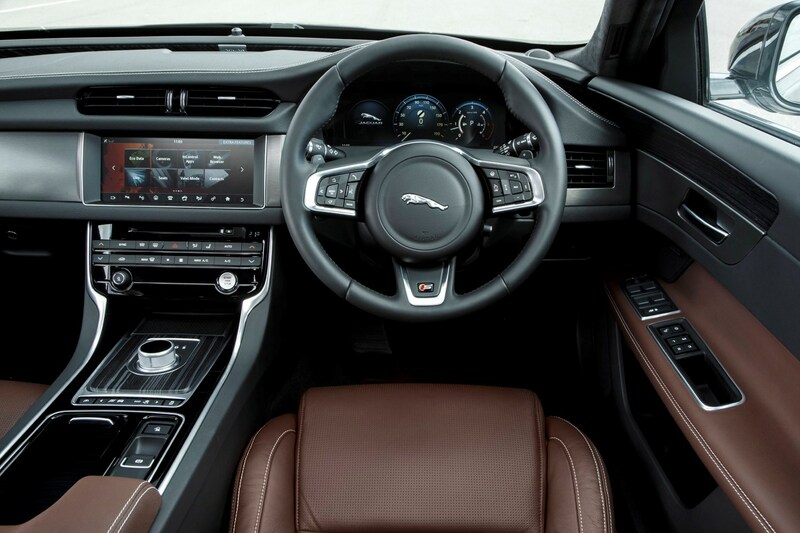 In fact, should you require the extra traction of all-wheel drive, 2.0-litre engines are your only option; V6 models are rear-wheel drive only. 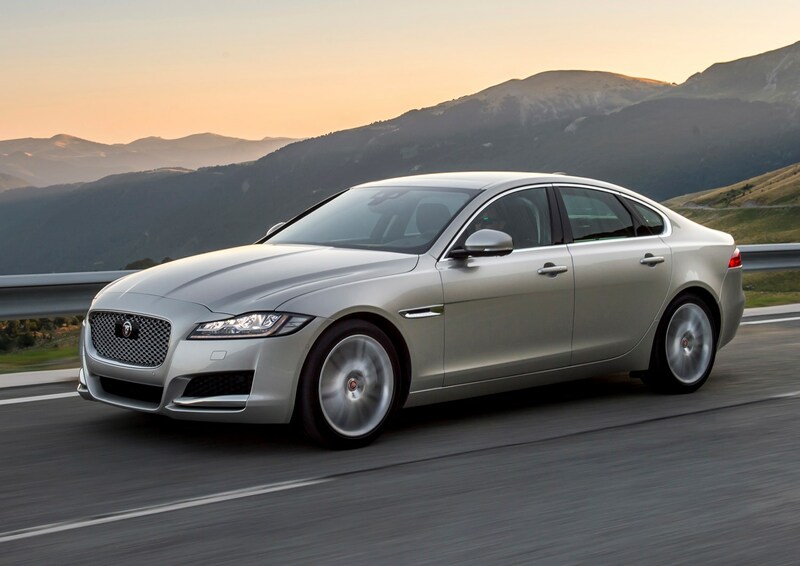 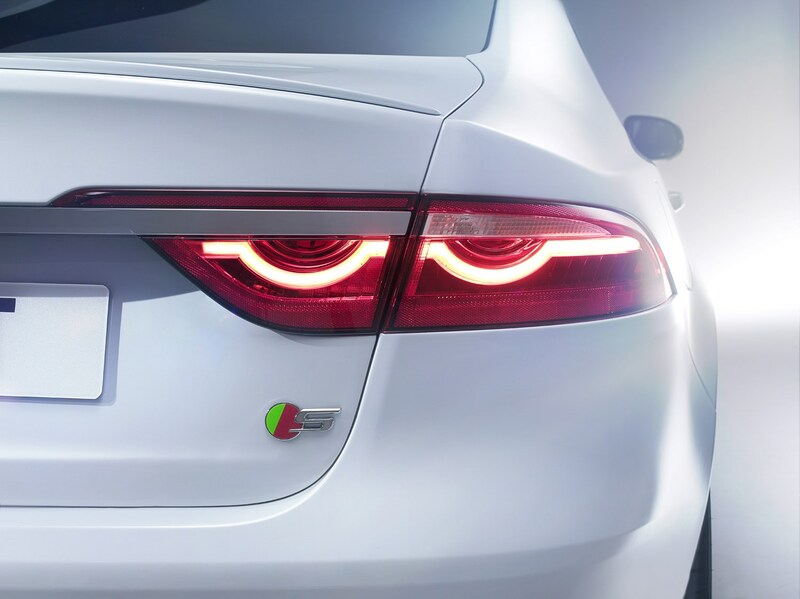 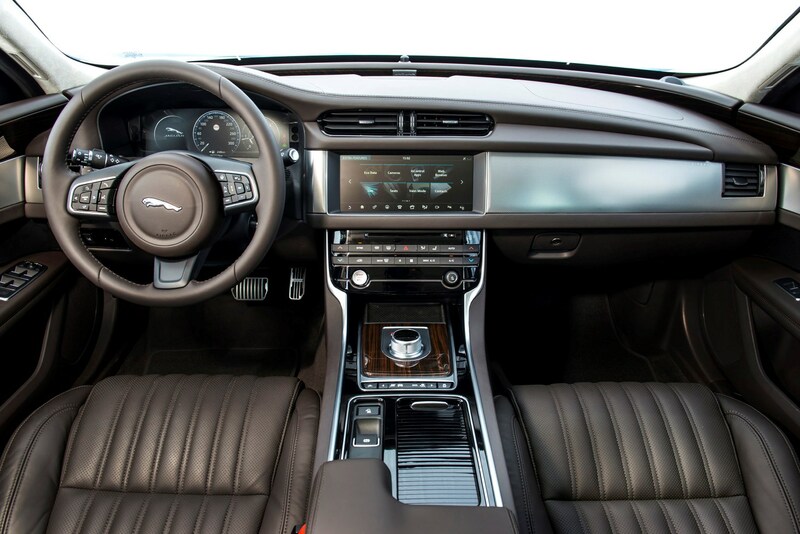 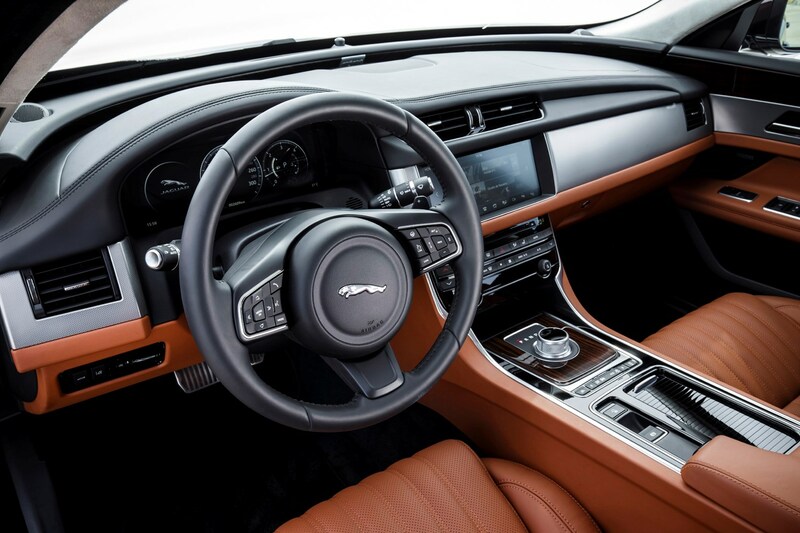 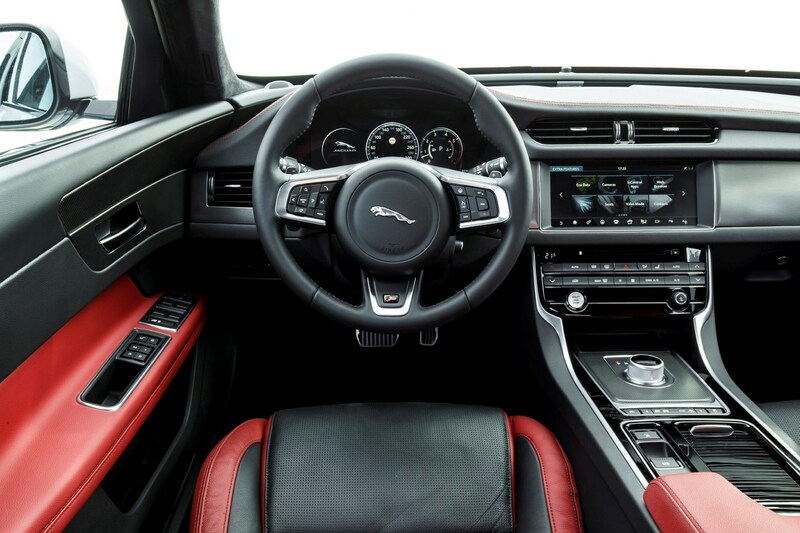 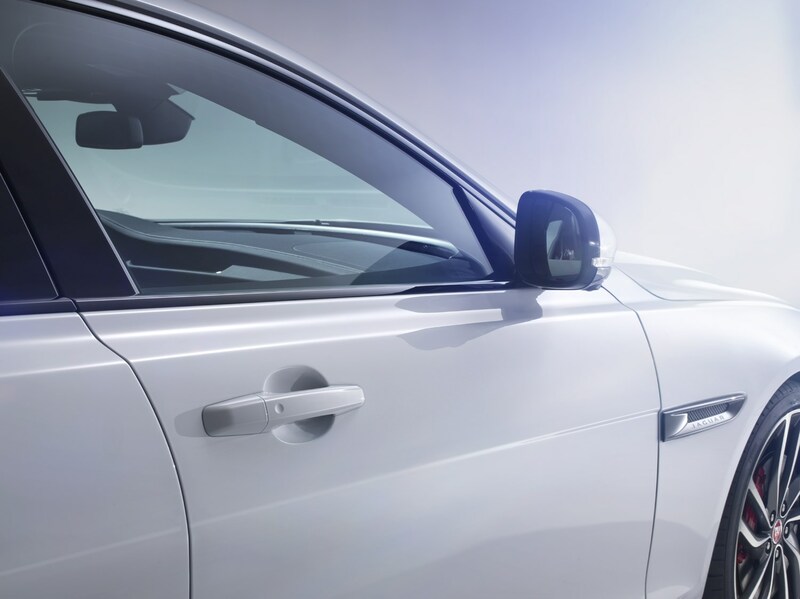 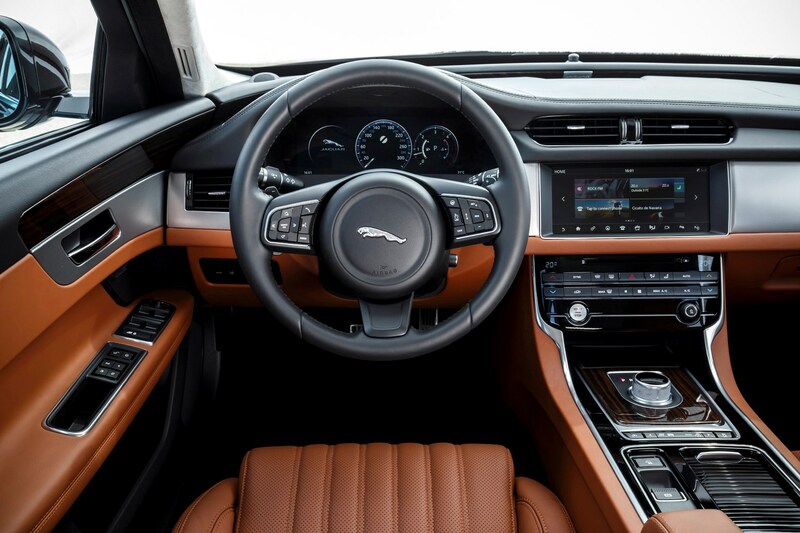 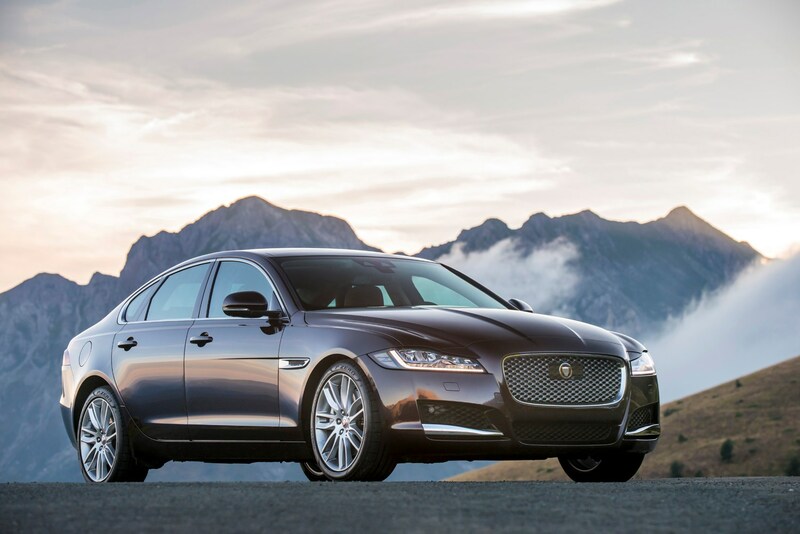 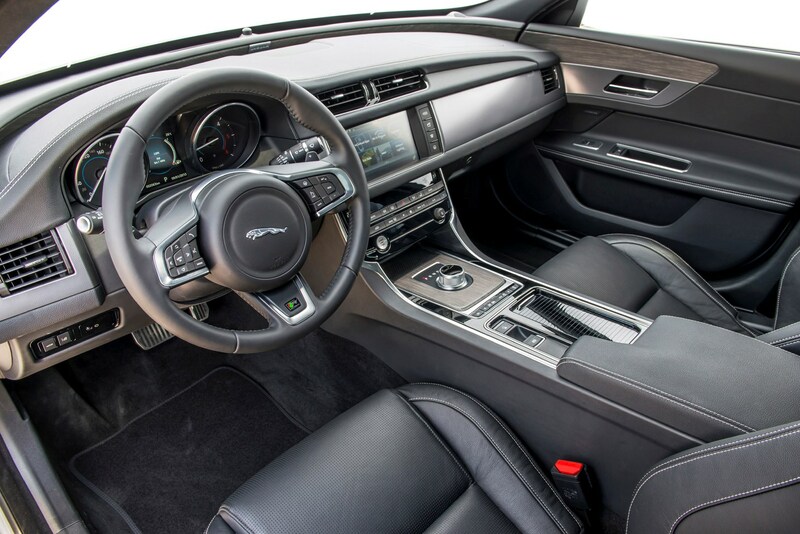 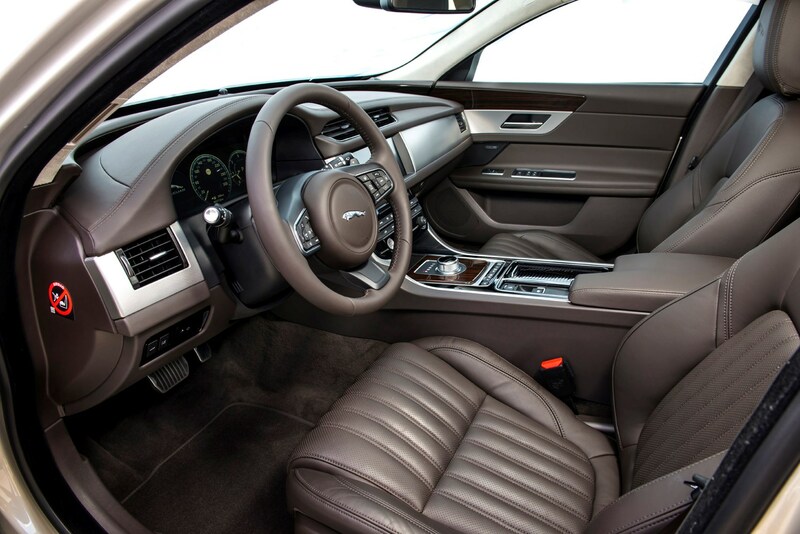 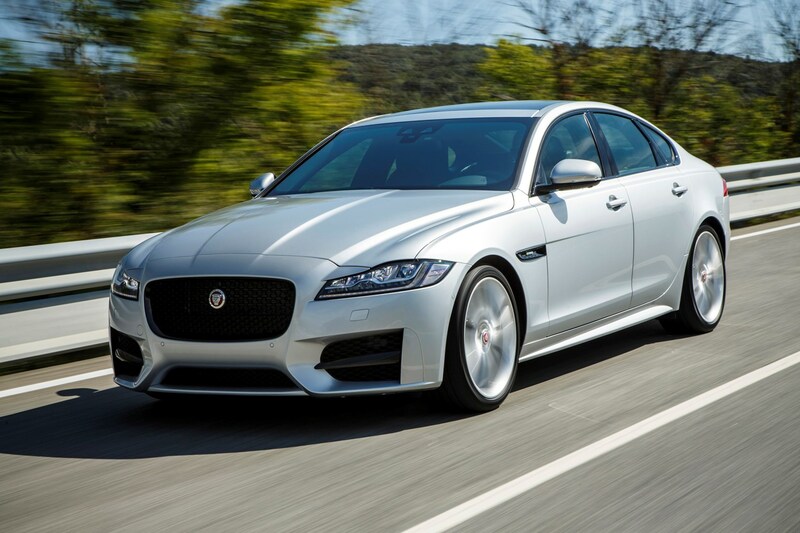 All versions are paired with the excellent eight-speed automatic, which Jaguar expects to be the most popular option for the XF when combined with the 180hp engine. 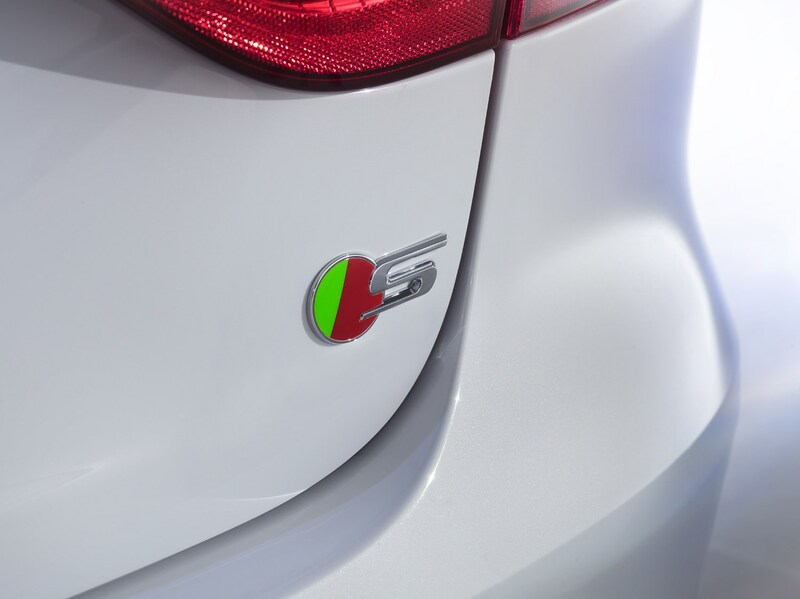 Even in this guise 65.7mpg is claimed, with emissions of 114g/km for the rear-wheel drive version. 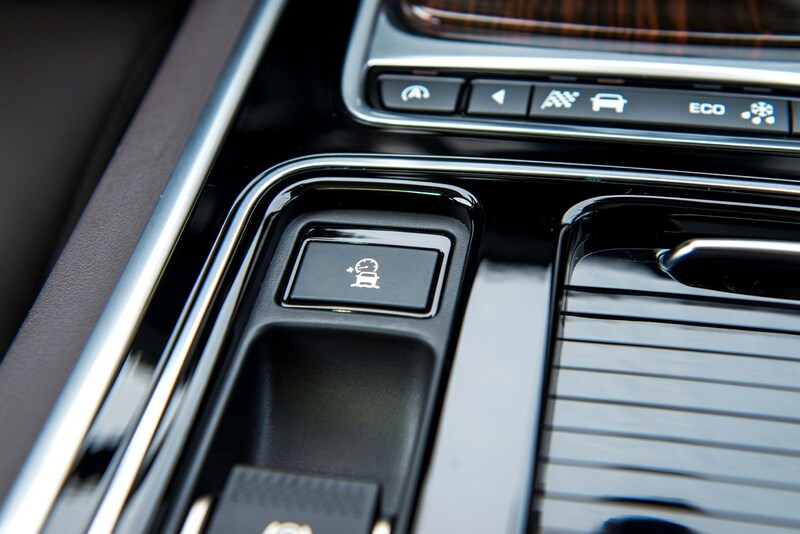 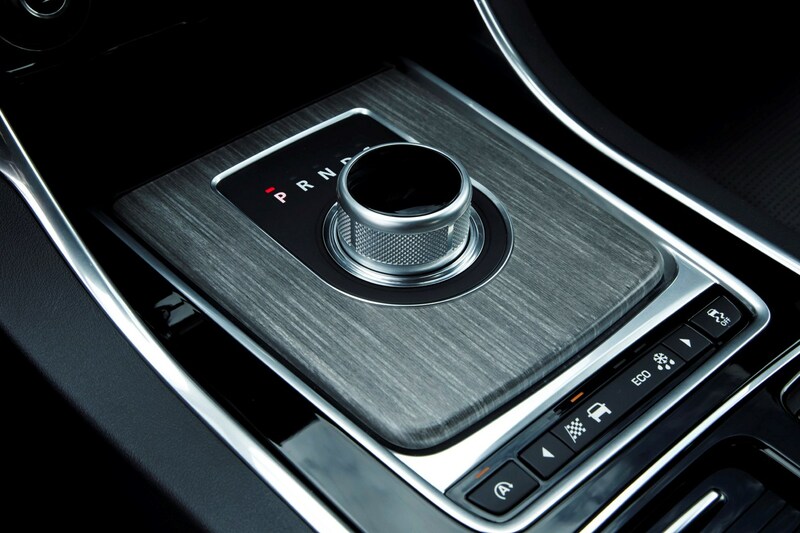 A six-speed manual gearbox is available on the two lower-power diesels, if you prefer using a clutch or want the lowest possible emissions. 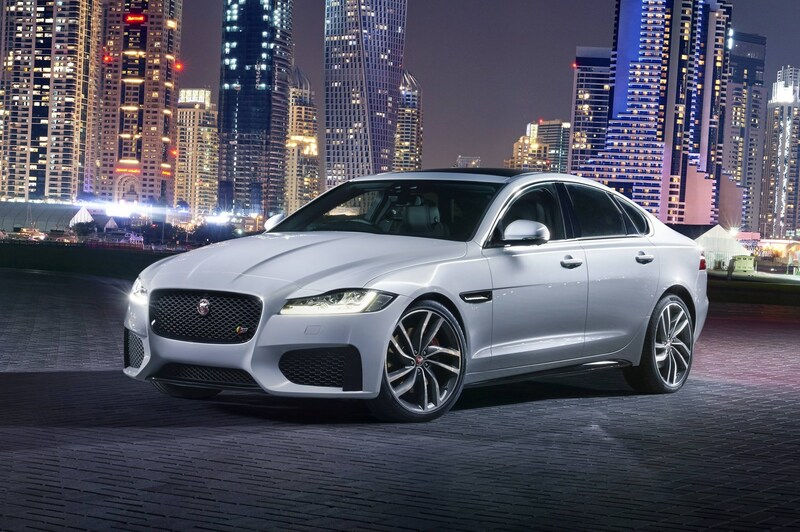 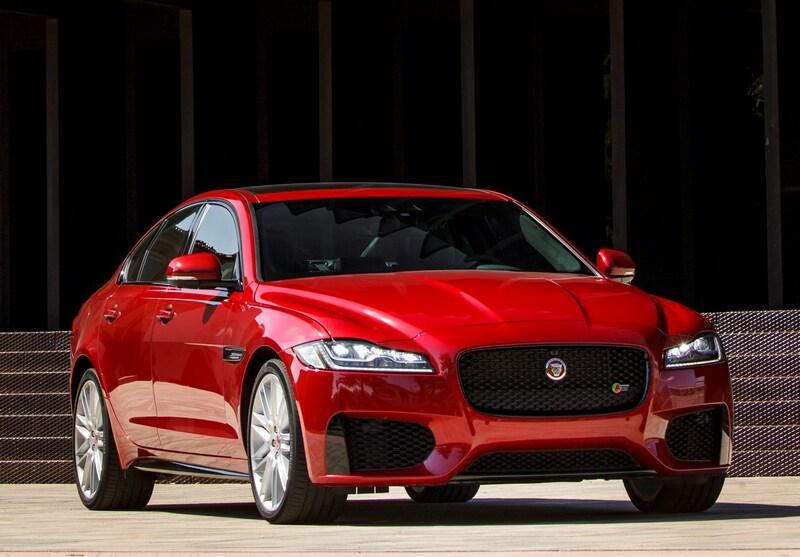 More performance is on offer with S-specification Jaguar XF saloons – both are 3.0-litre capacity V6 engines, one a twin-turbo diesel, the other a supercharged petrol shared with the F-Type, producing 300hp and 380hp, respectively. 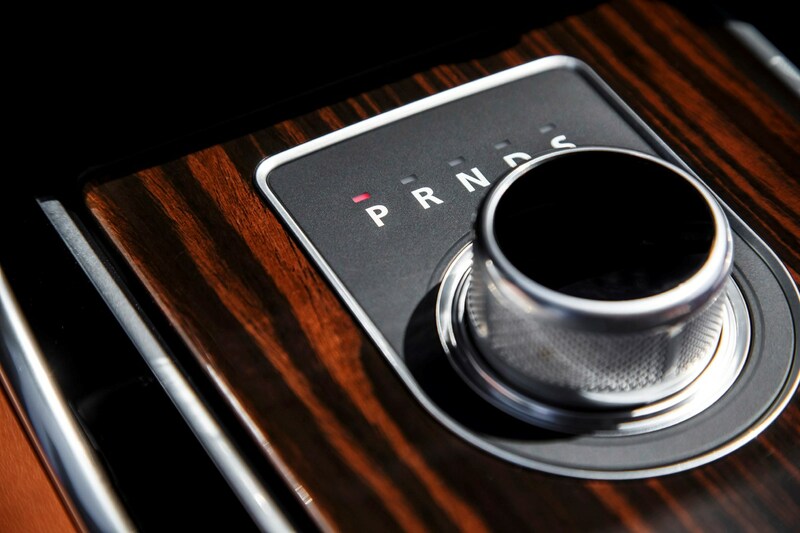 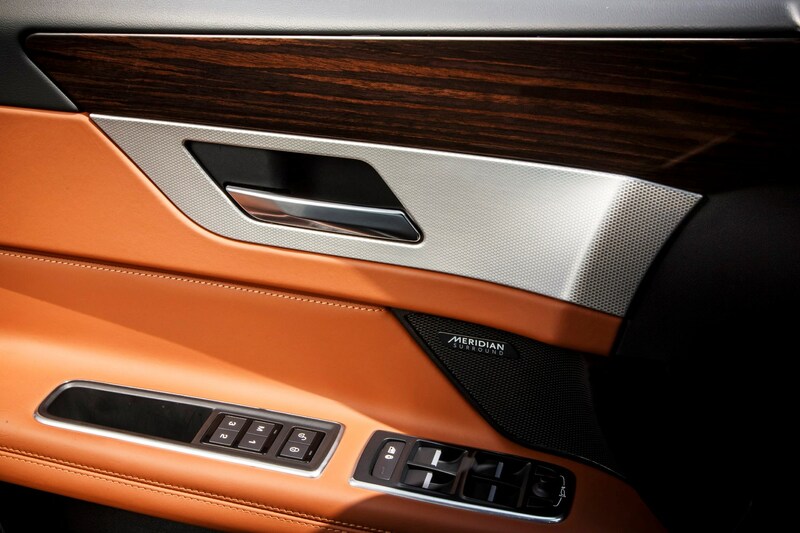 The eight-speed automatic is the only transmission choice with these two. 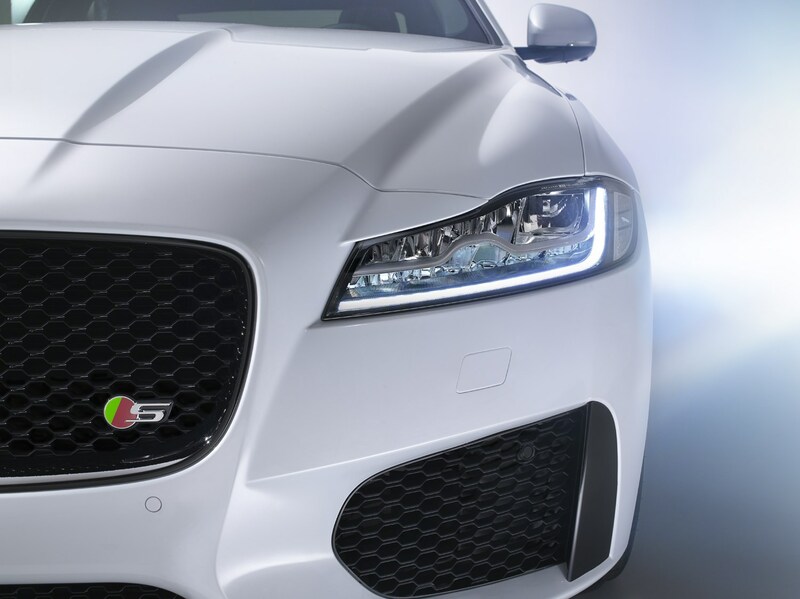 Both will reach a governed 155mph, with the petrol version completing the 0-62mph sprint in 5.3 seconds, almost a second quicker than the V6 diesel’s 6.2 seconds. 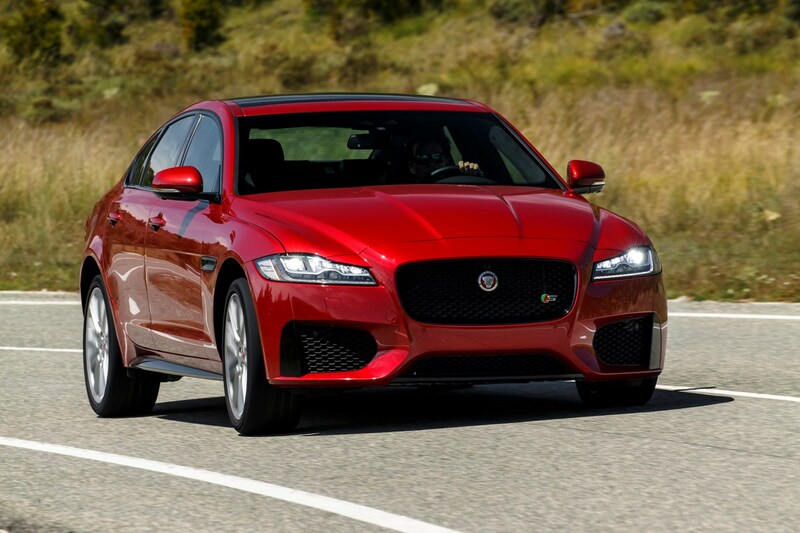 Jaguar has embraced the benefits of the XF’s light, stiff body to enhance the car’s handling and, despite its size, it feels nimble and lithe as you scythe through challenging bends. 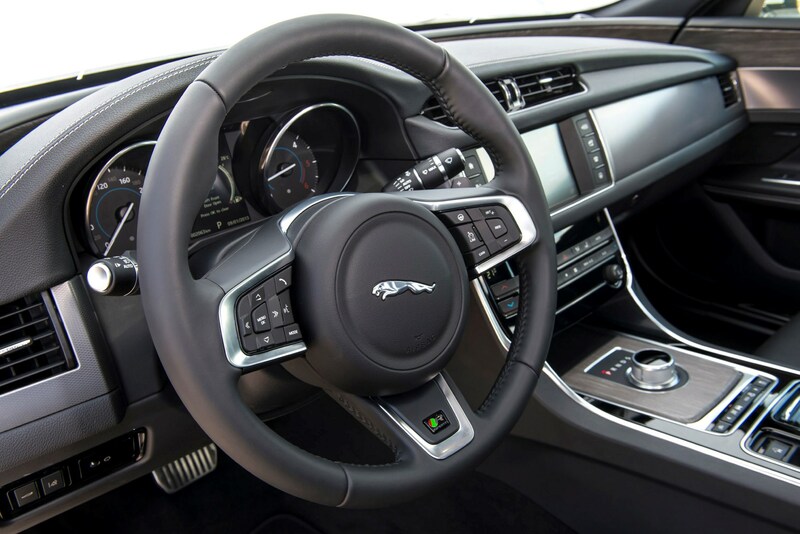 There’s an electric power-assisted steering system too that not only delivers an impressive degree of feel through the wheel it improves fuel efficiency by 3% over a conventional hydraulic alternative. 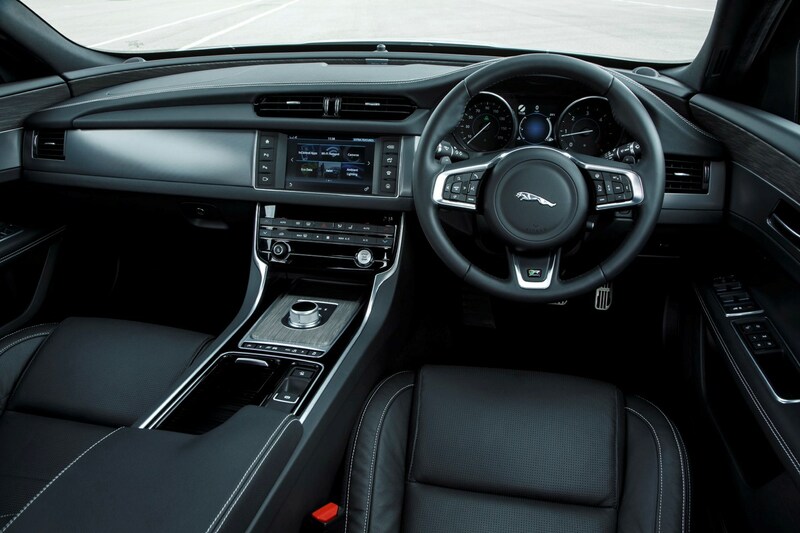 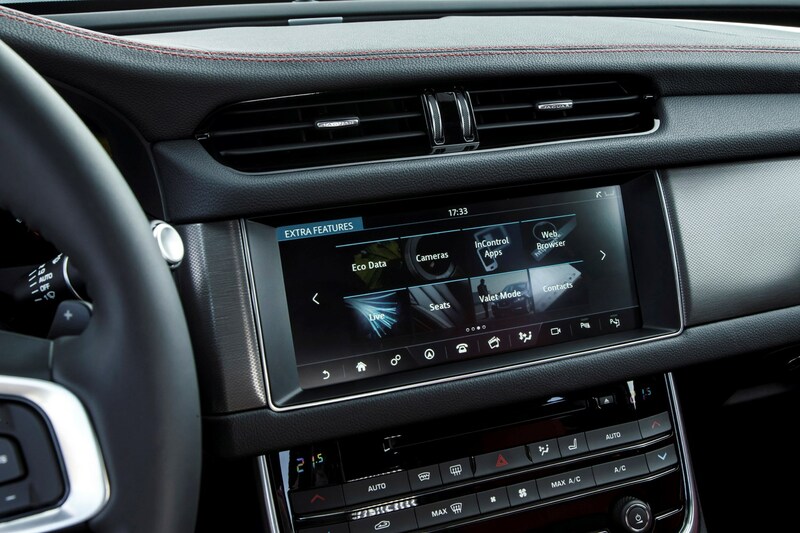 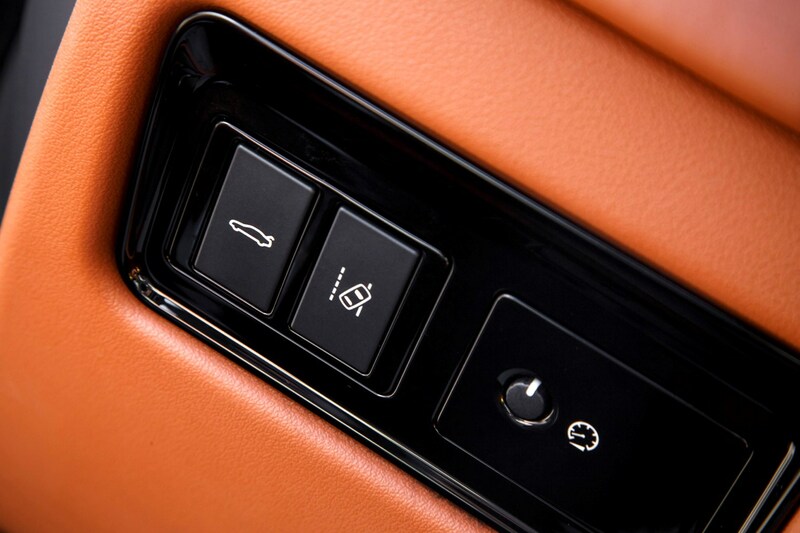 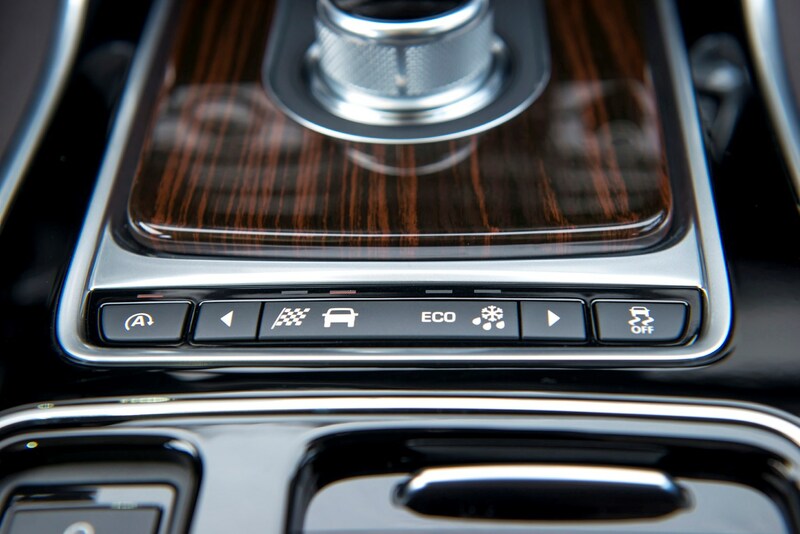 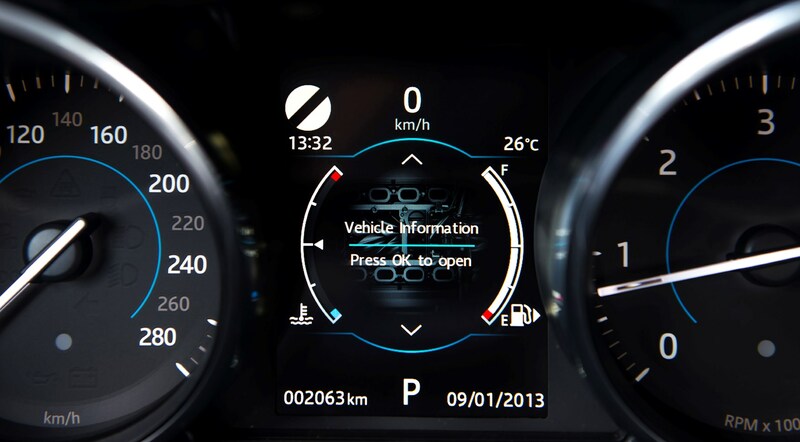 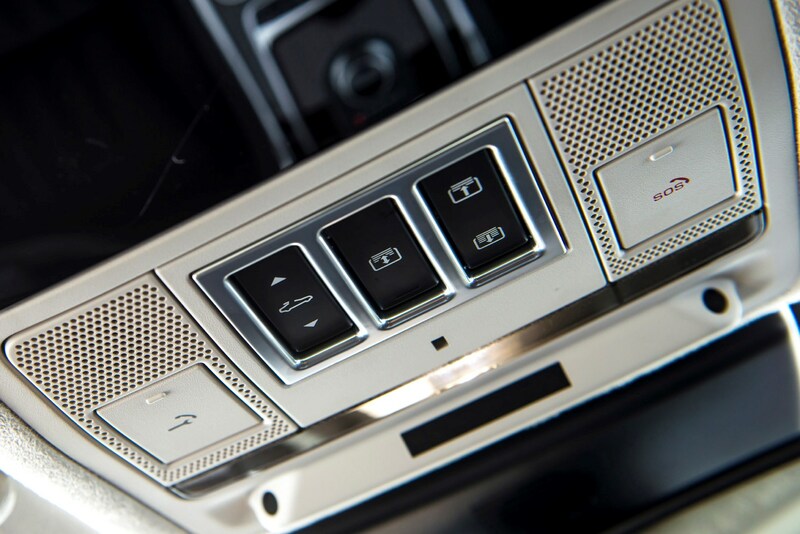 Further, there are adaptive dampers to vary the sportiness of the handling, without compromising comfort and a much-needed overhaul of the XF’s infotainment features, with two versions of Jaguar’s InTouch system available. 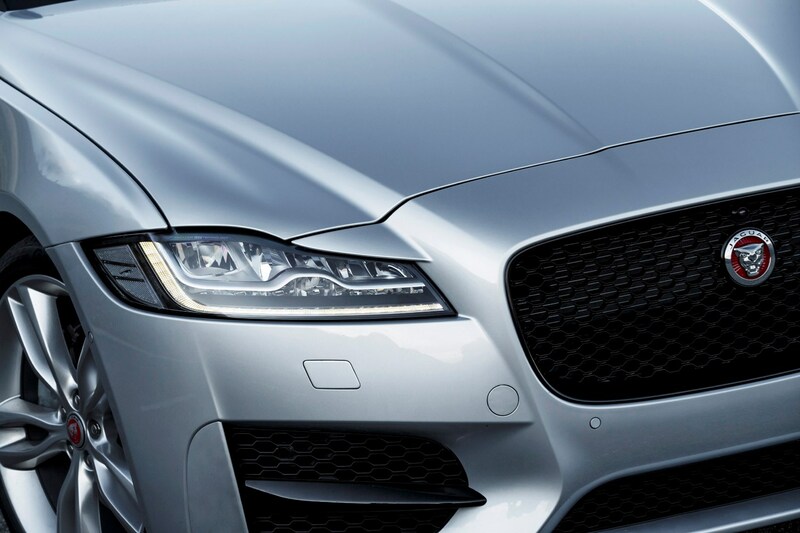 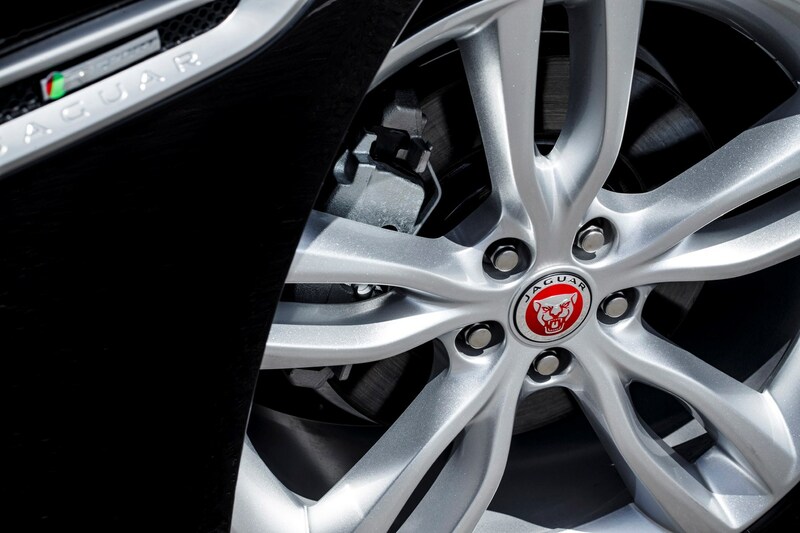 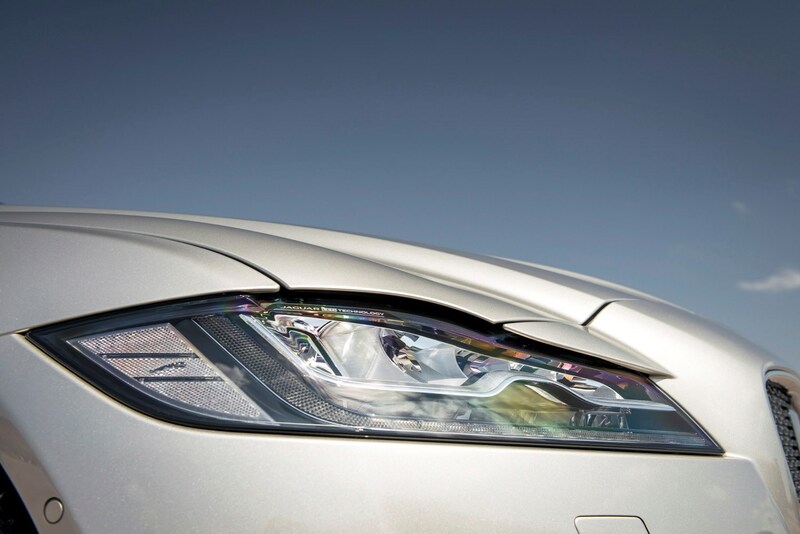 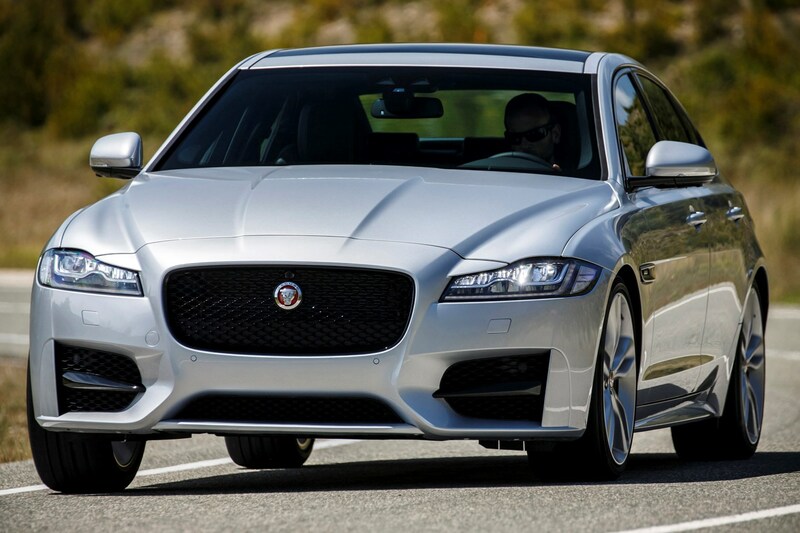 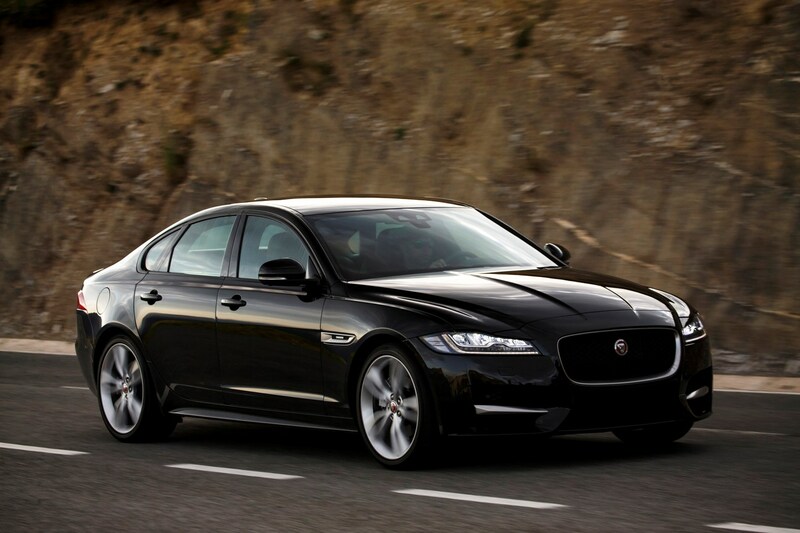 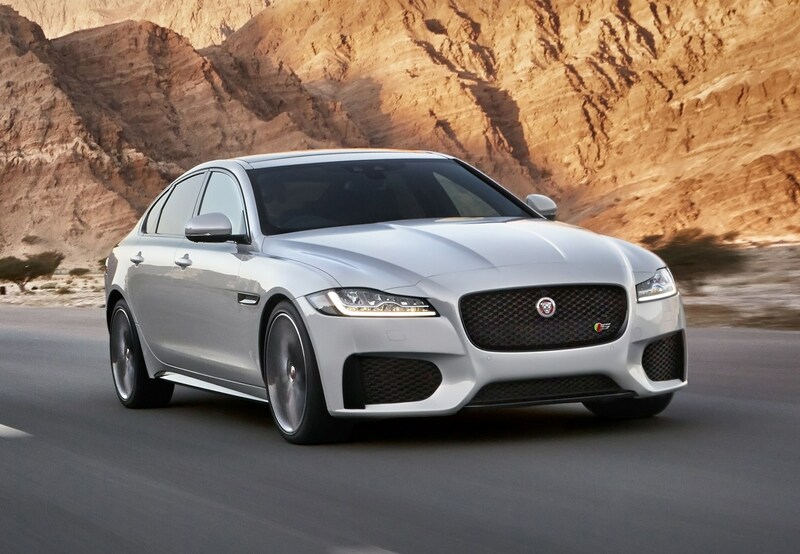 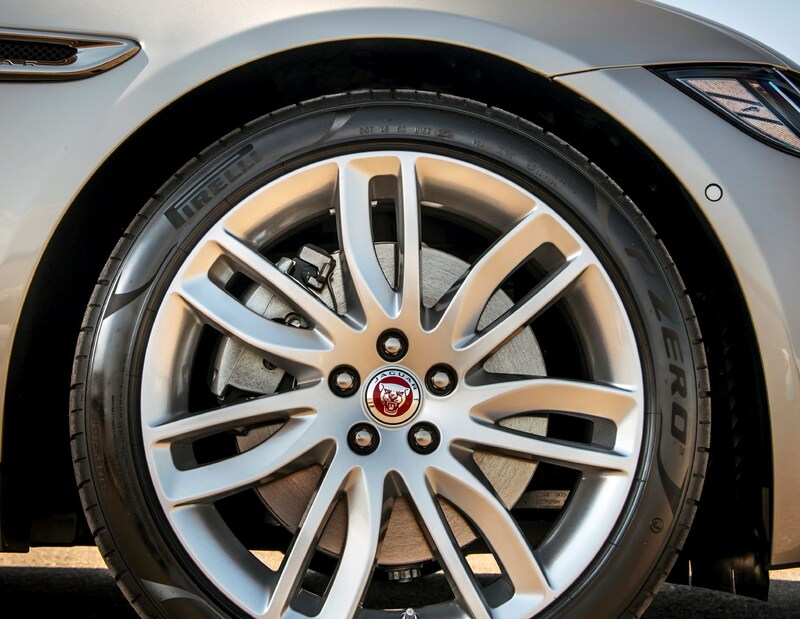 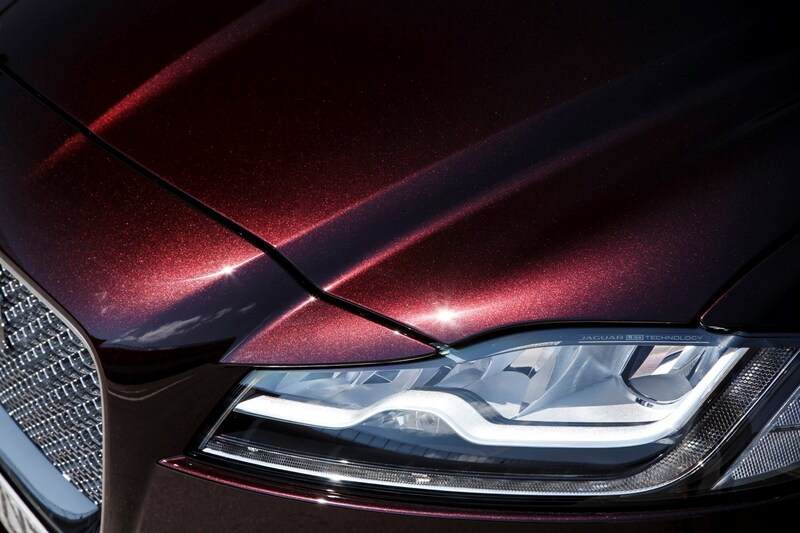 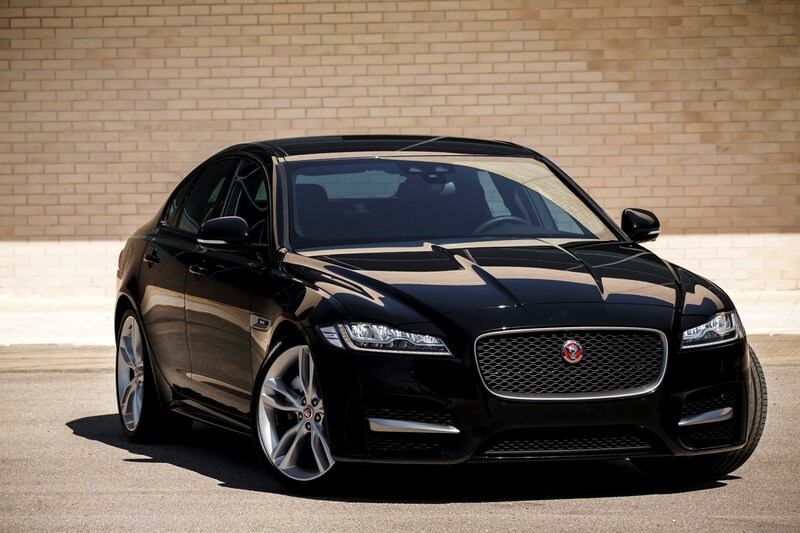 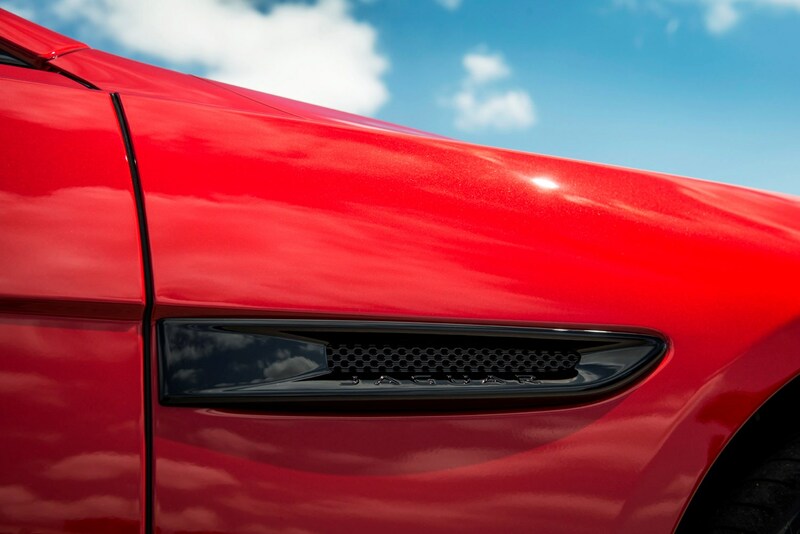 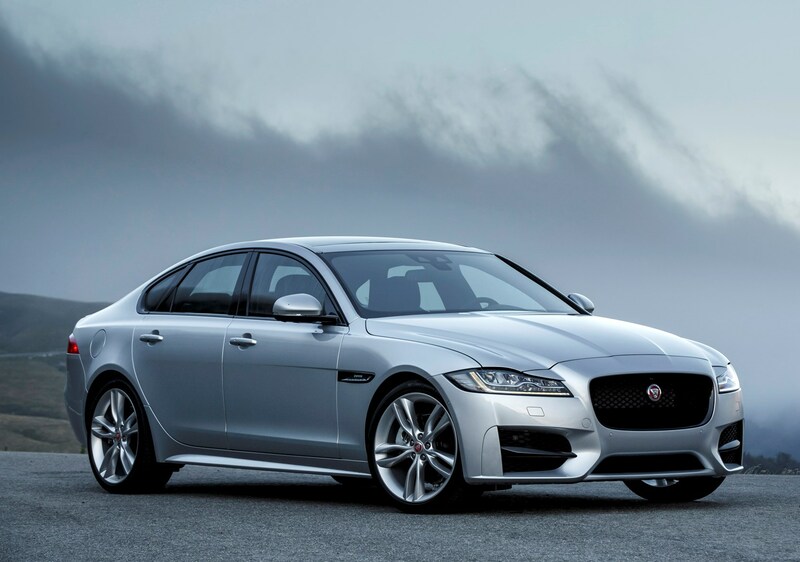 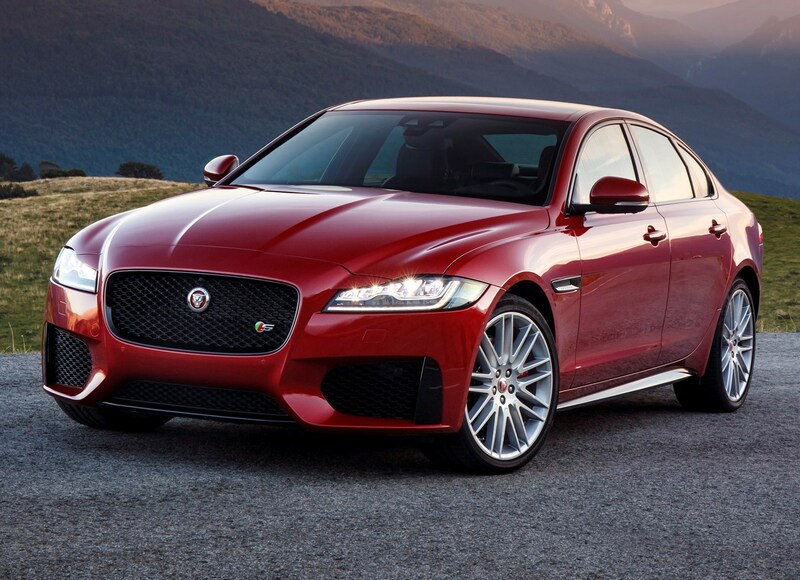 We have a lot of time for the Jaguar XF. 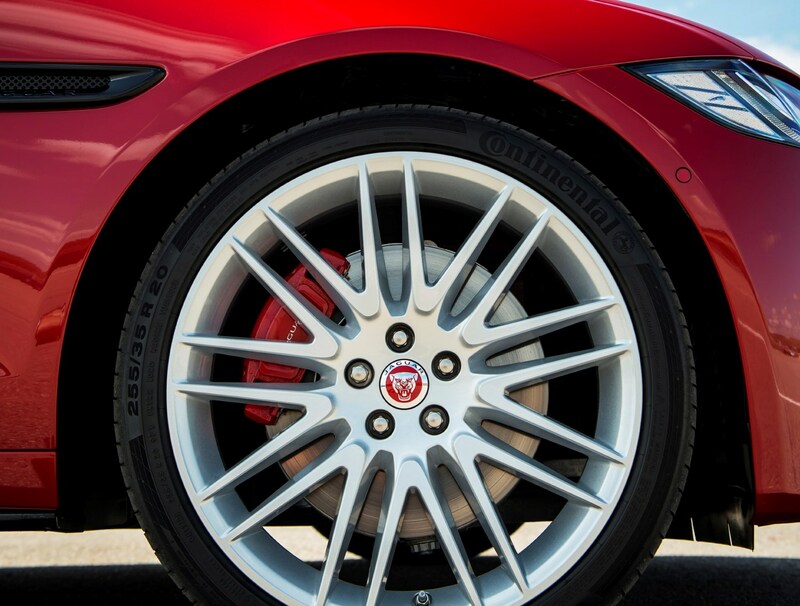 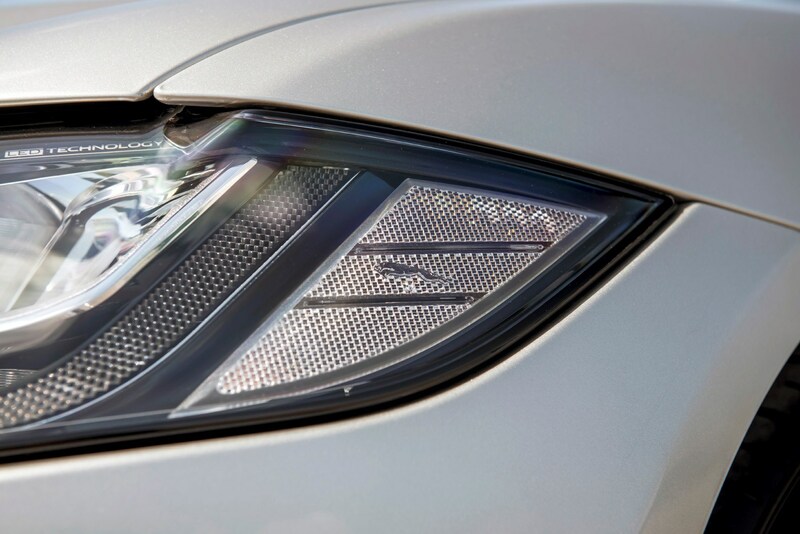 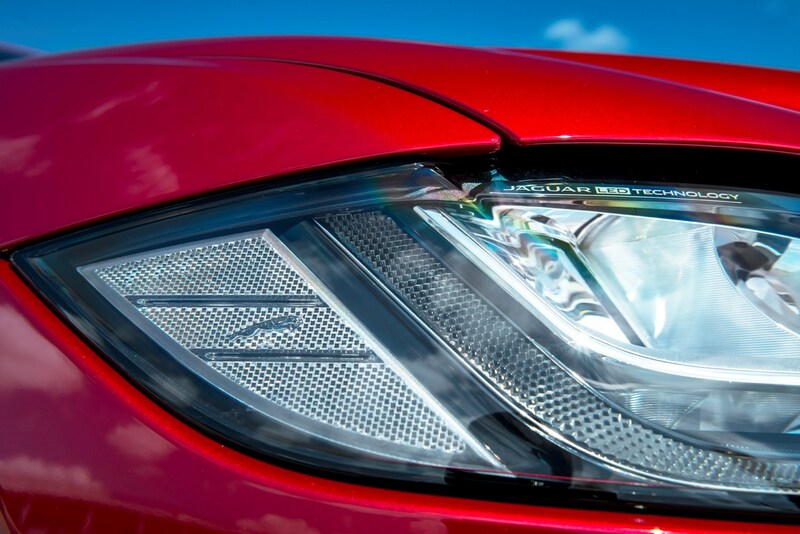 It's good to drive, and – in the right colour and trim – looks a million dollars. 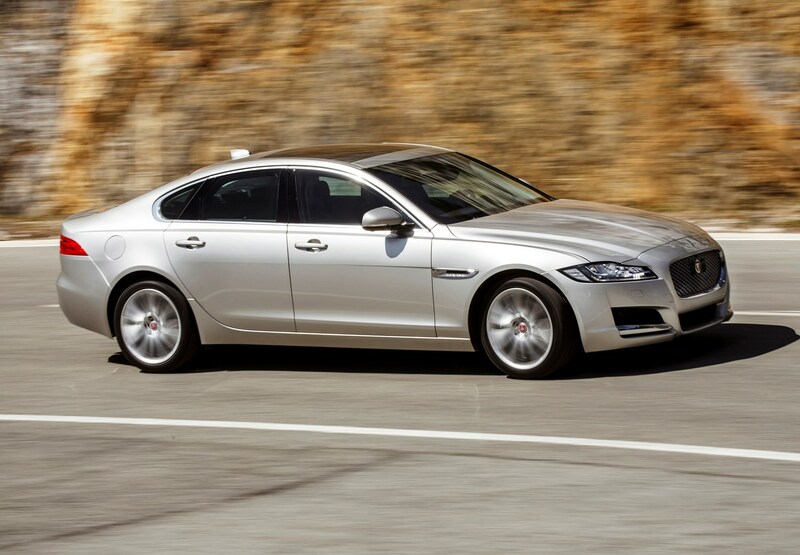 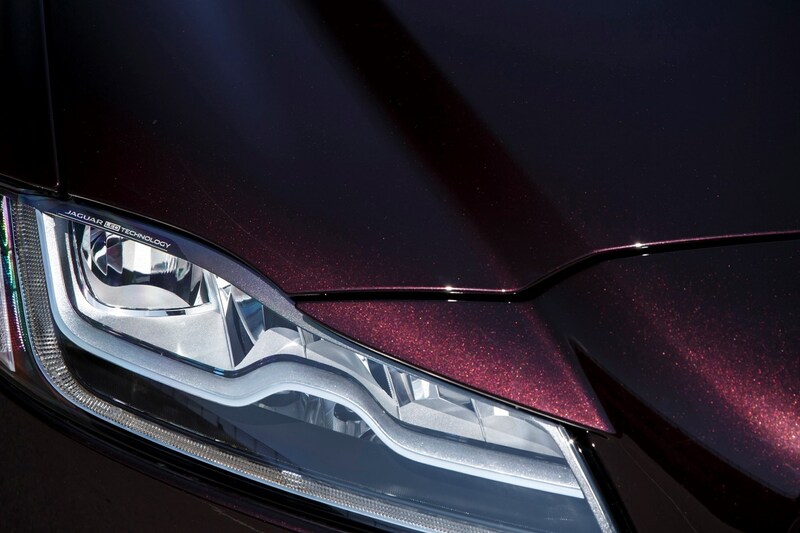 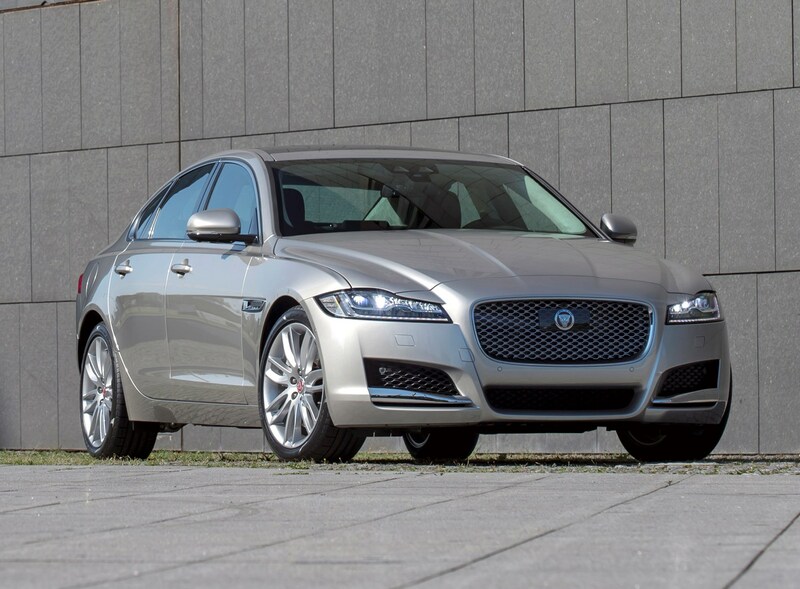 Is it a class-leading executive car, like the original XF was when it was launched? 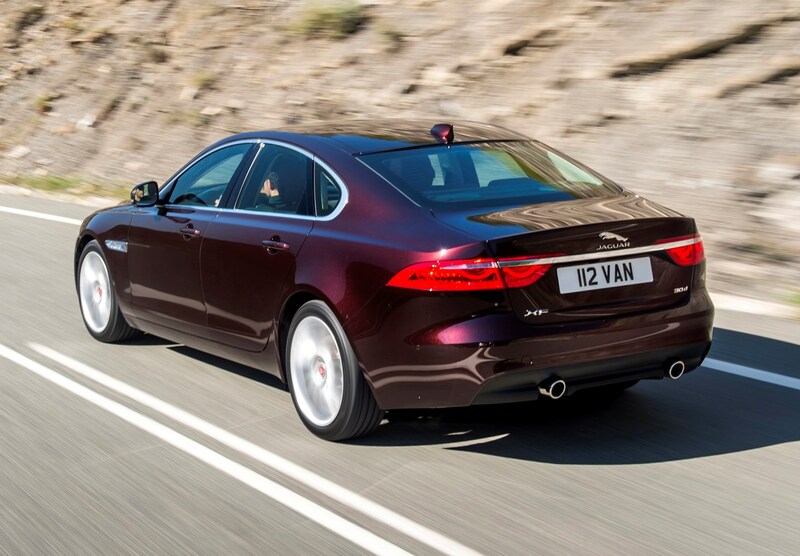 Sadly not – its range of abilities is too patchy, with the excellent dynamics and capable range of engines being compromised by the ultimate lack of interior quality. 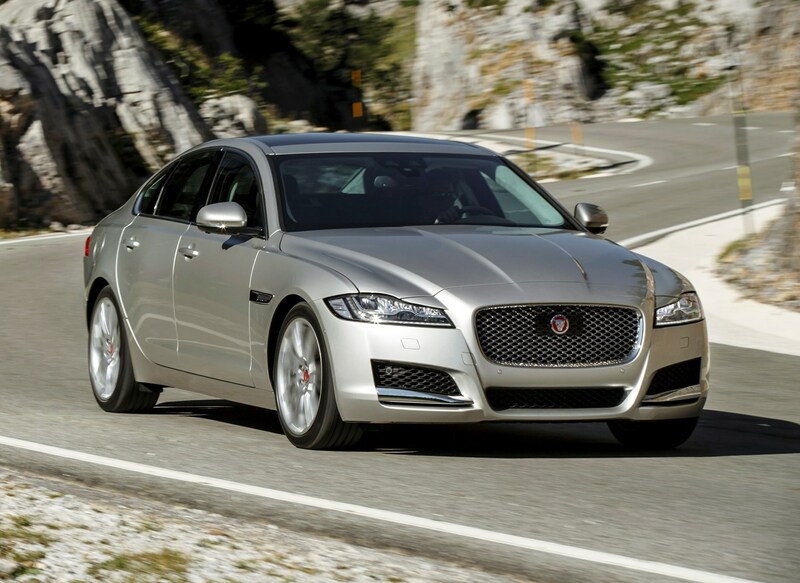 And when you're up against the BMW 5 Series and Mercedes-Benz E-Class, that's a problem. 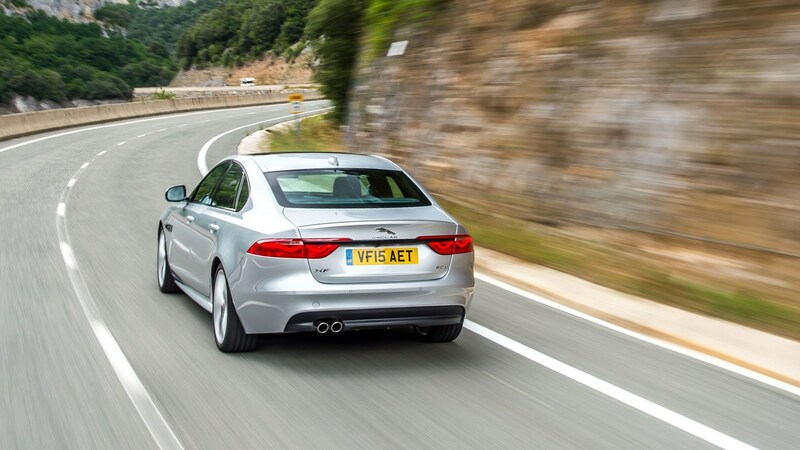 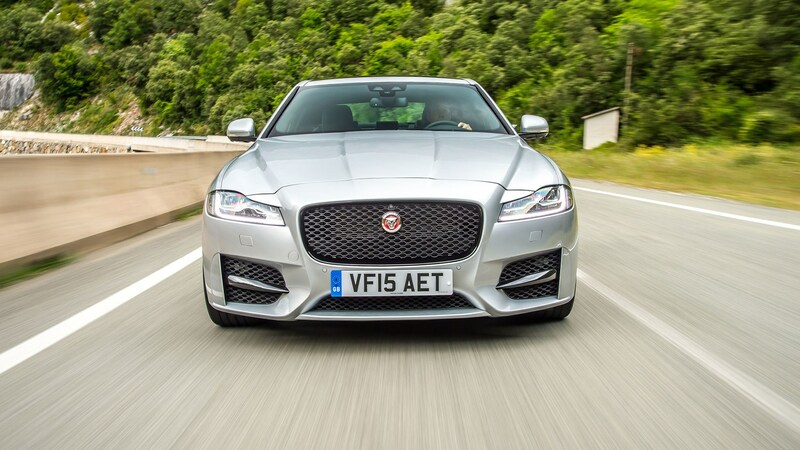 Read the full Jaguar XF saloon review to find out why this sporty four-door executive is held in such high regard.